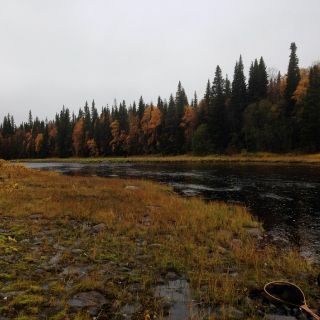 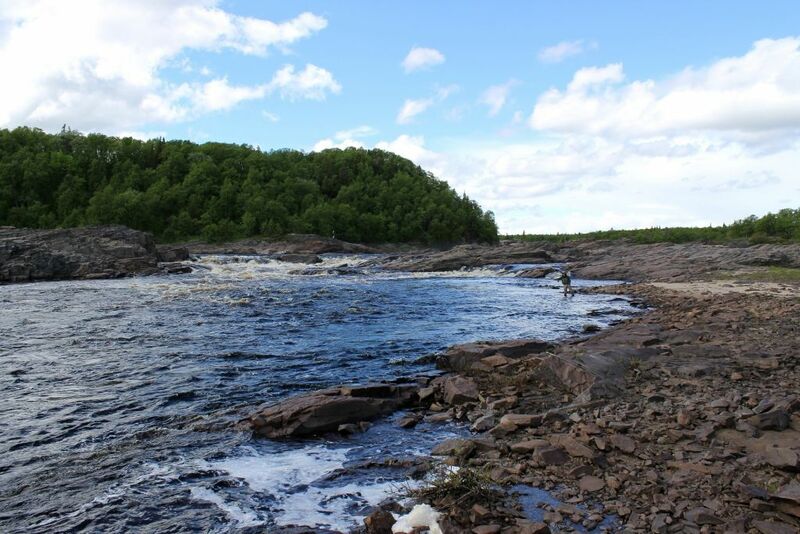 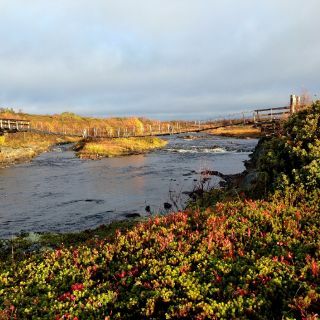 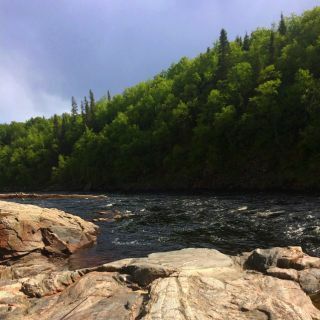 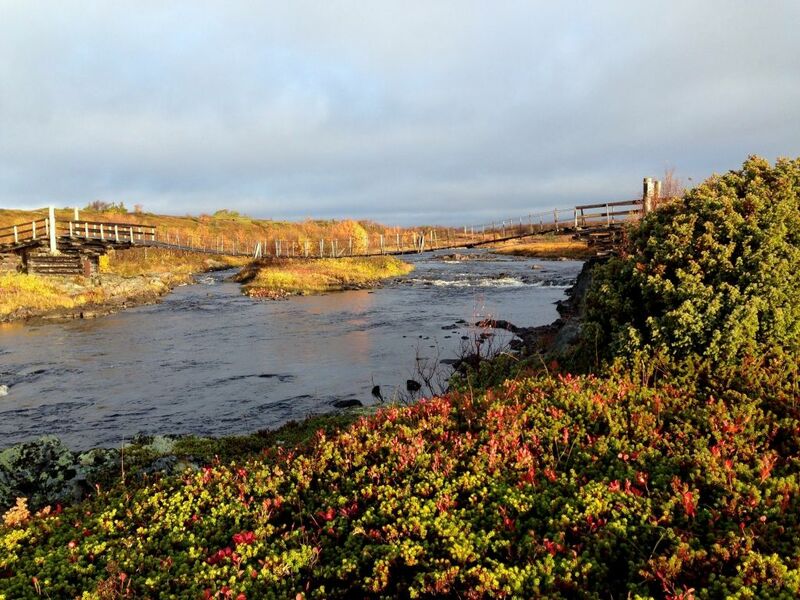 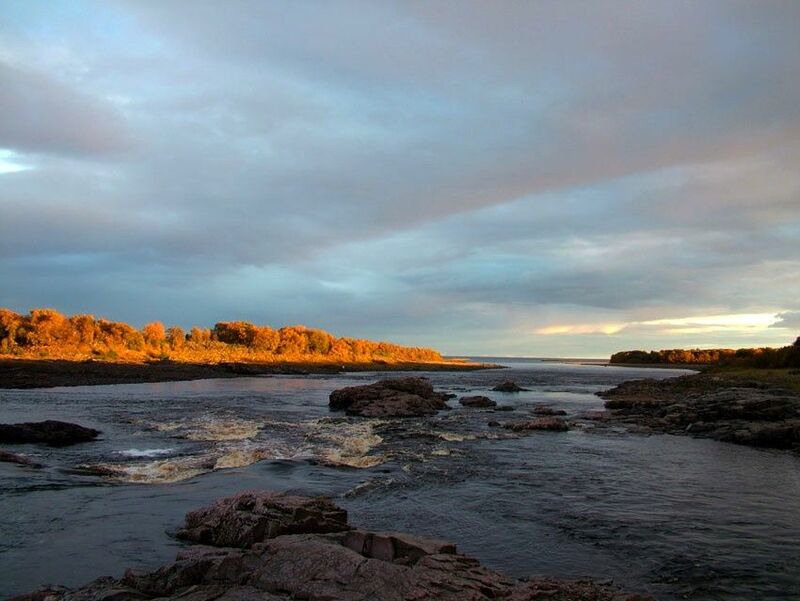 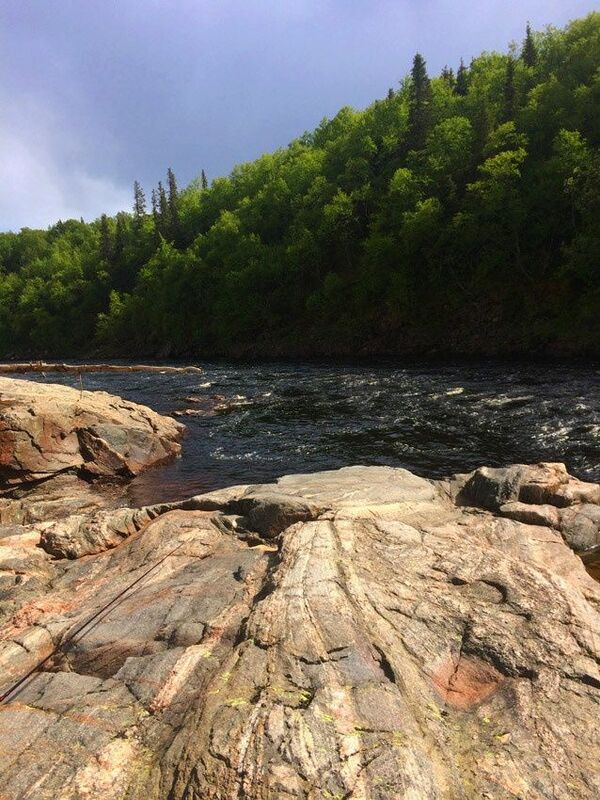 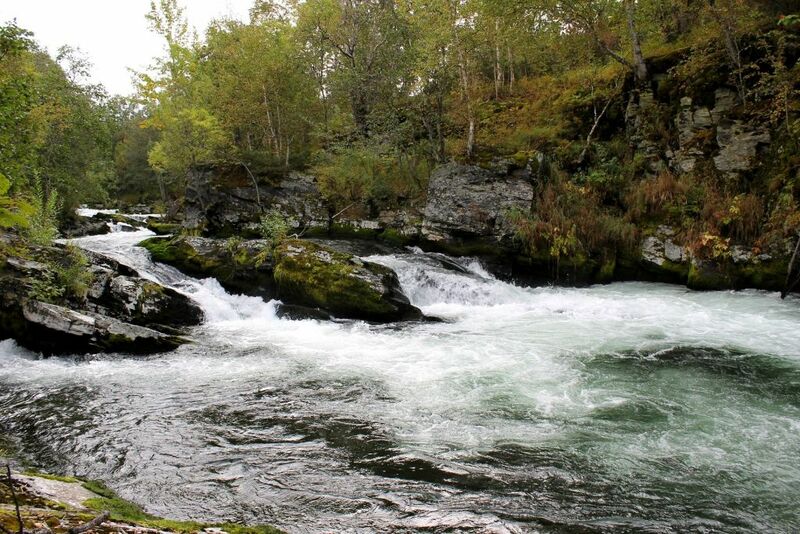 Beautiful river Chavanga located in the southern part of Kola Peninsula. 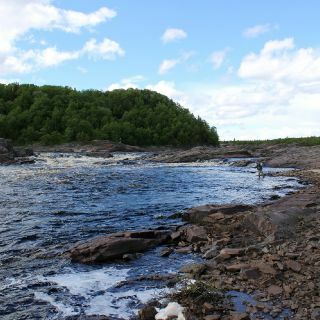 This is a territory of ‘’Belomorska’’ tundra. 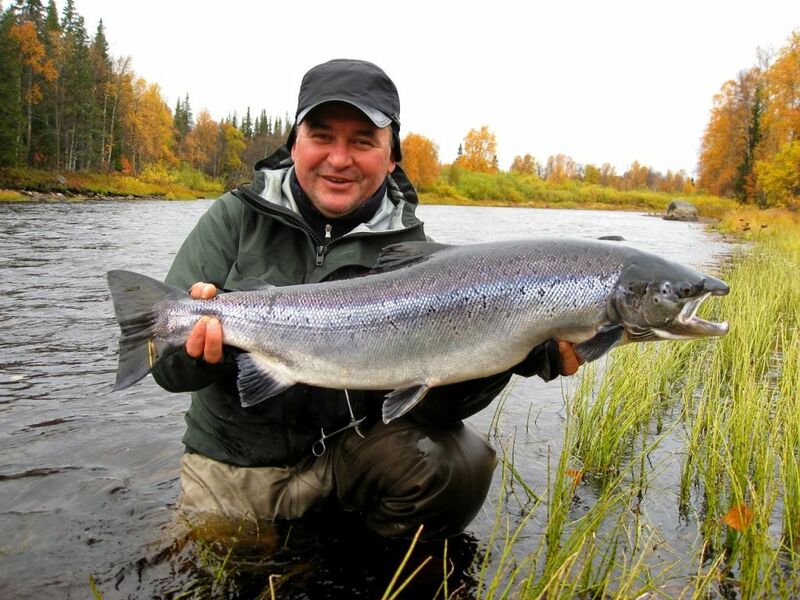 It runs into the White sea, 60 km to the east from the Varzuga river estuary. 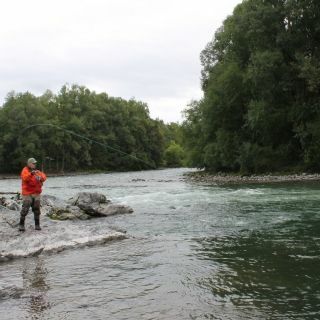 Chavanga is a medium sized friendly river. 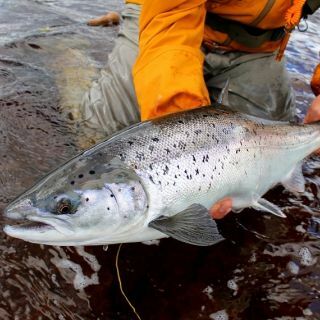 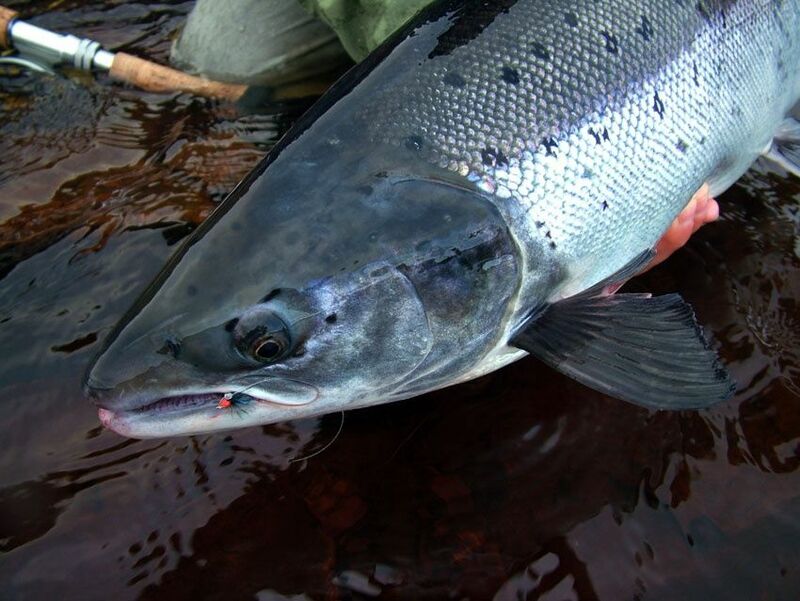 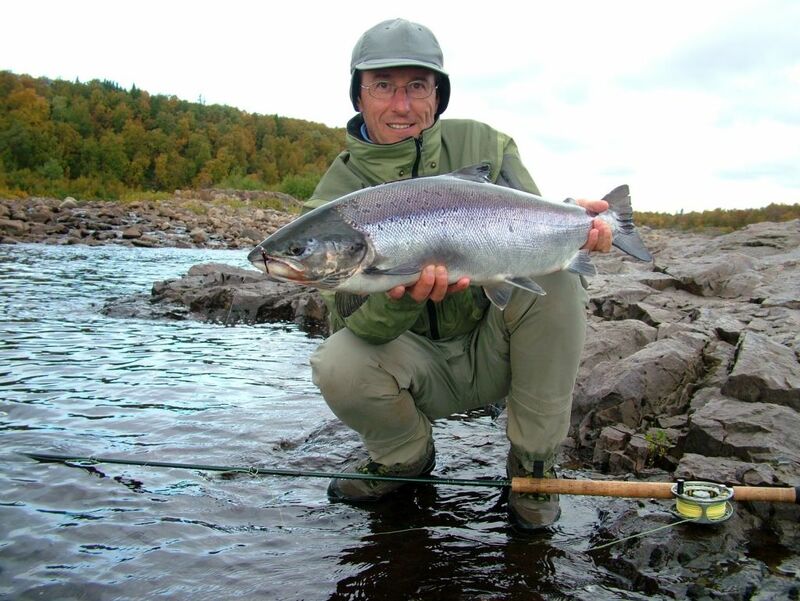 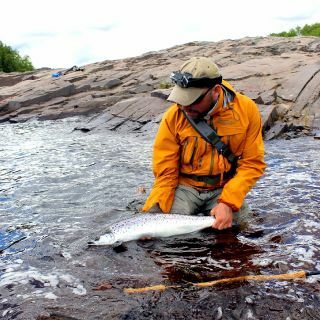 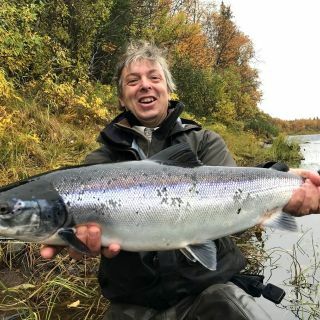 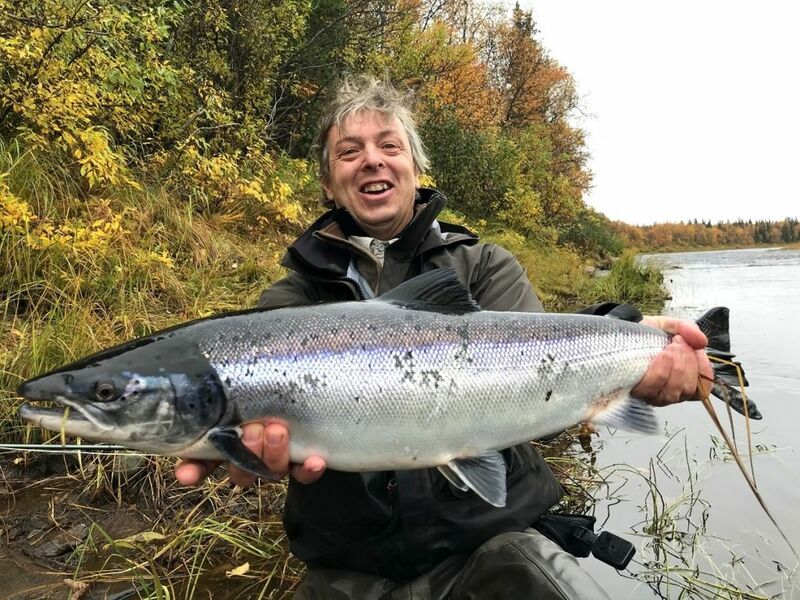 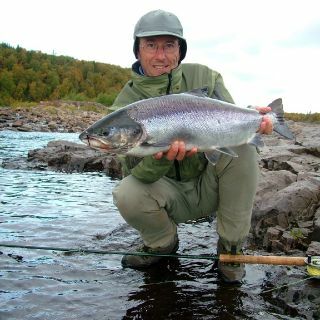 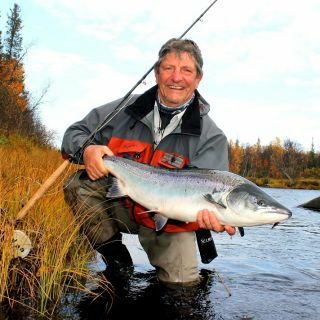 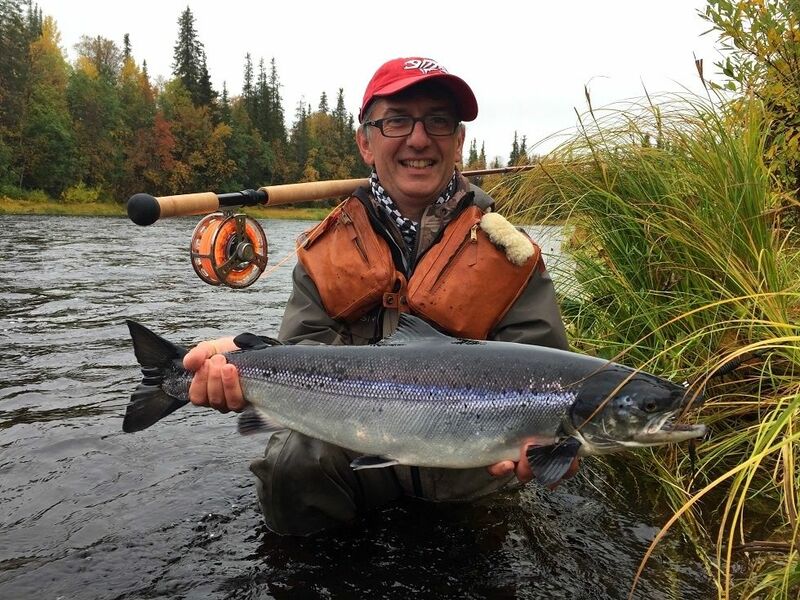 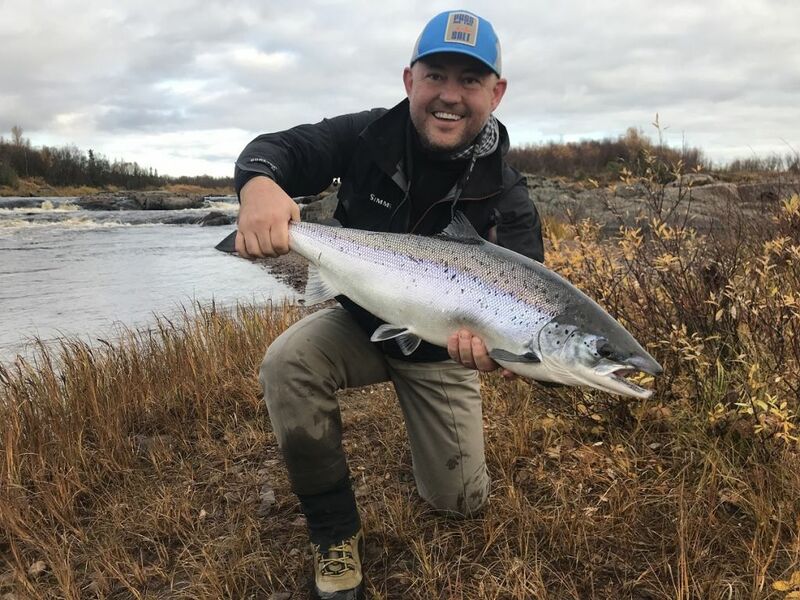 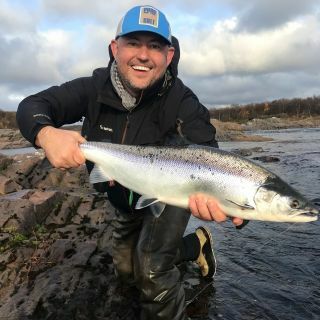 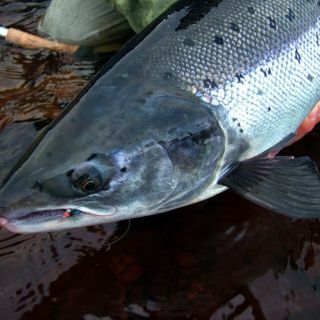 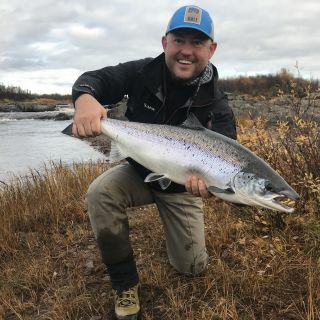 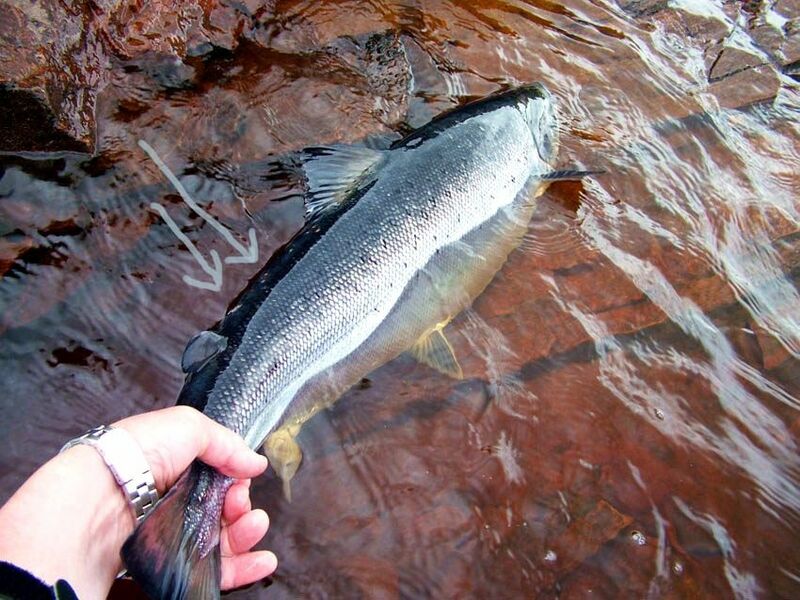 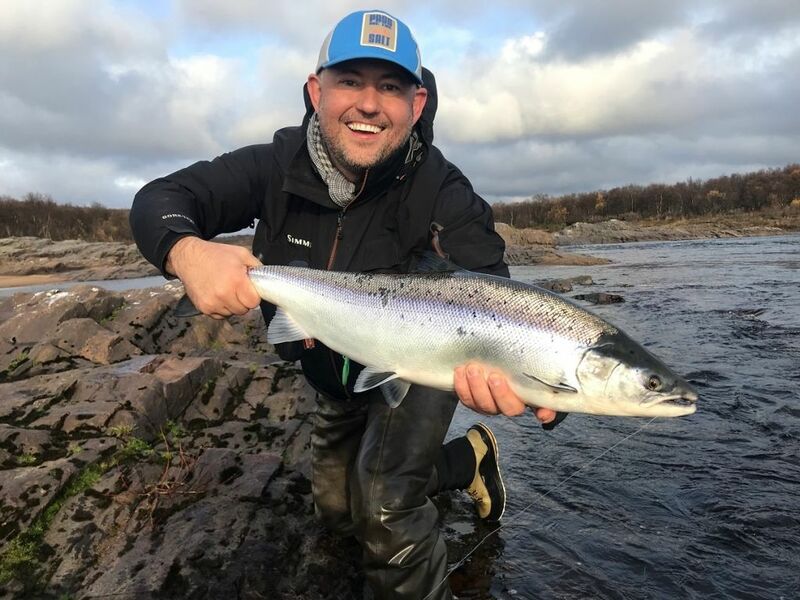 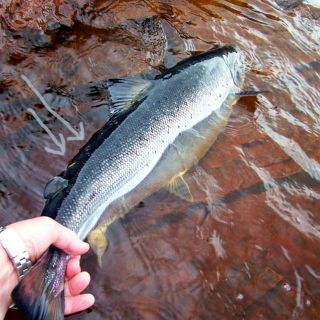 It has a solid run of Atlantic salmon, also offers a great variety of fish such as good size sea and brown trout and grayling. 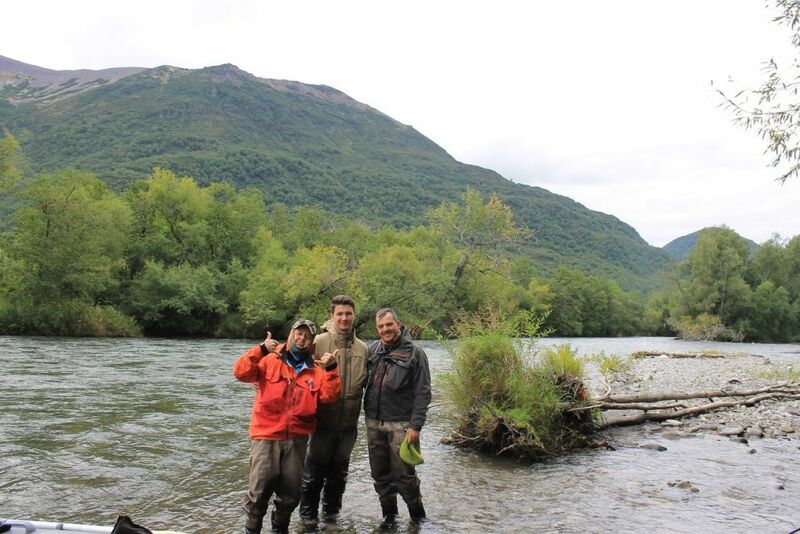 Once you visit Chavanga you fall in love with the river the same day. 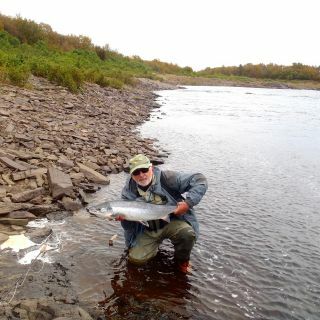 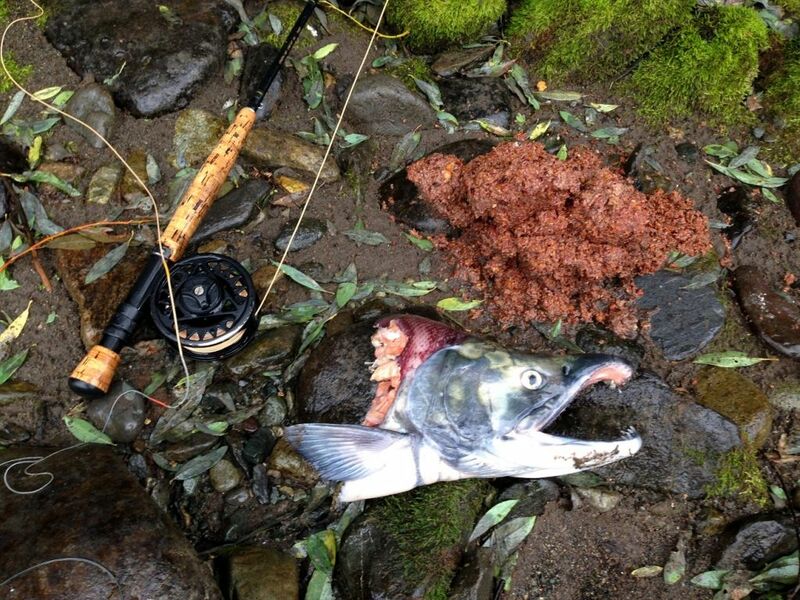 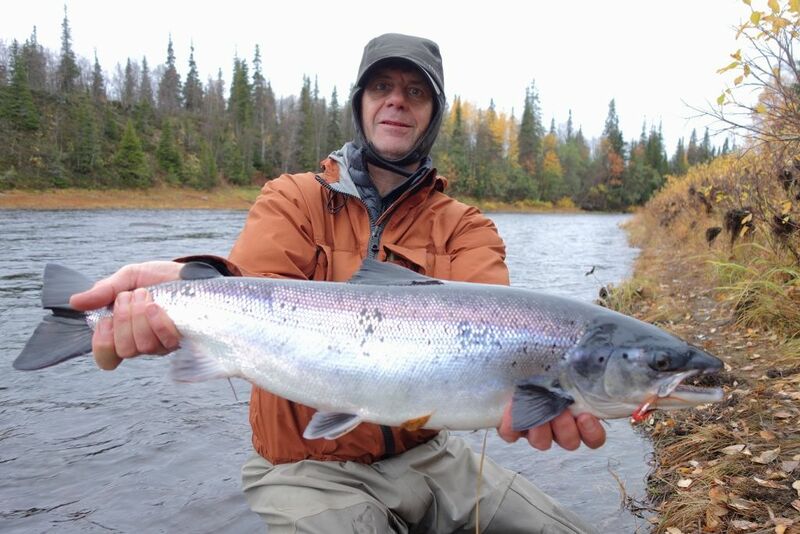 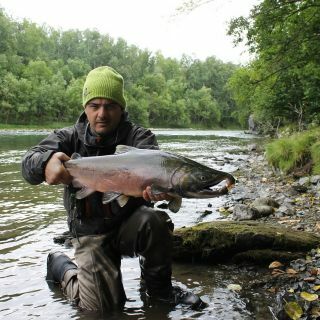 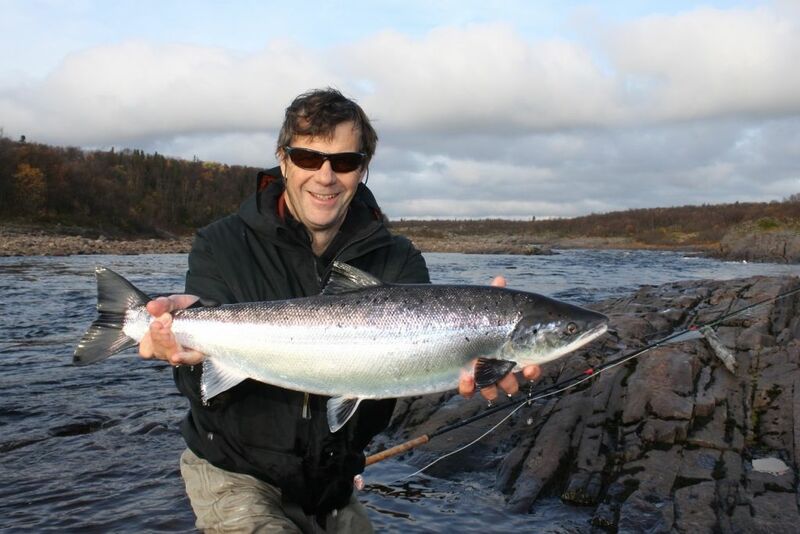 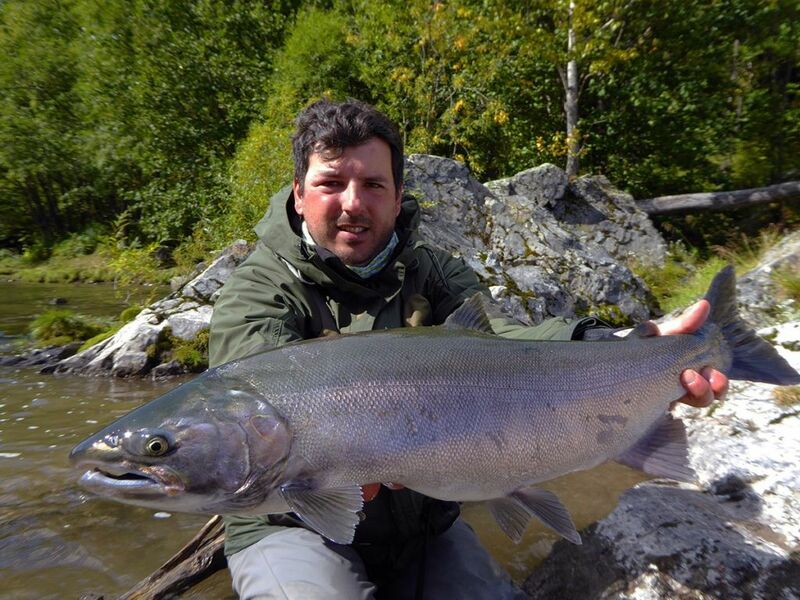 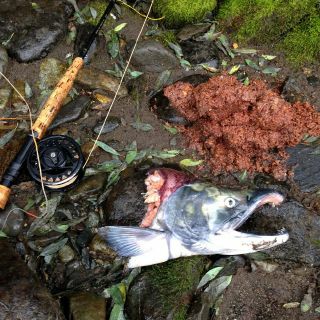 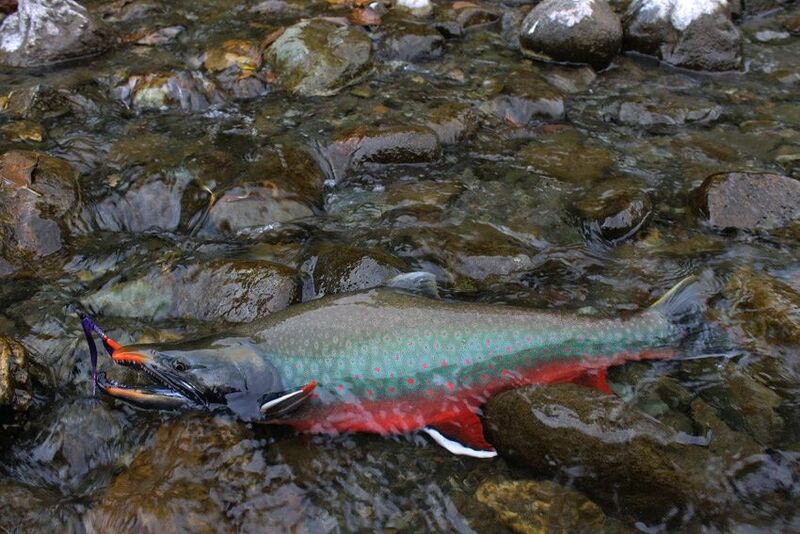 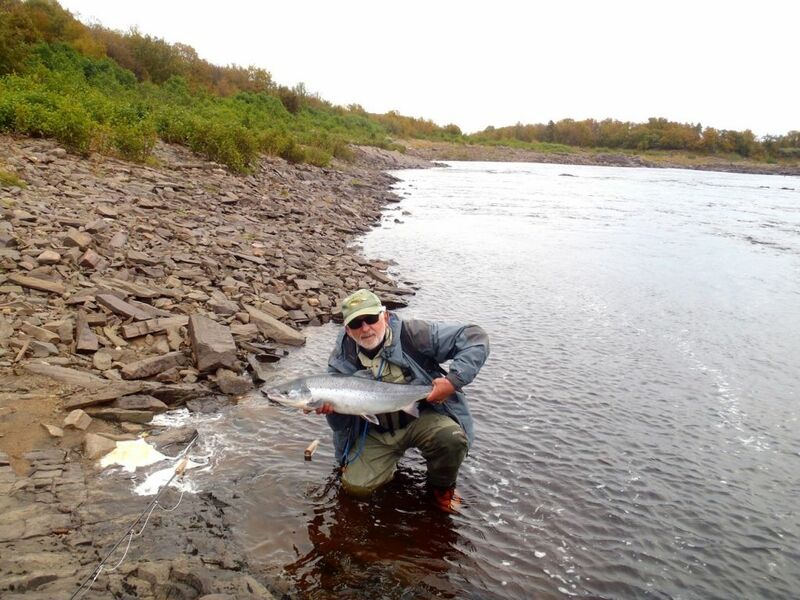 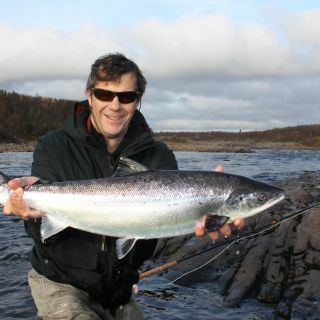 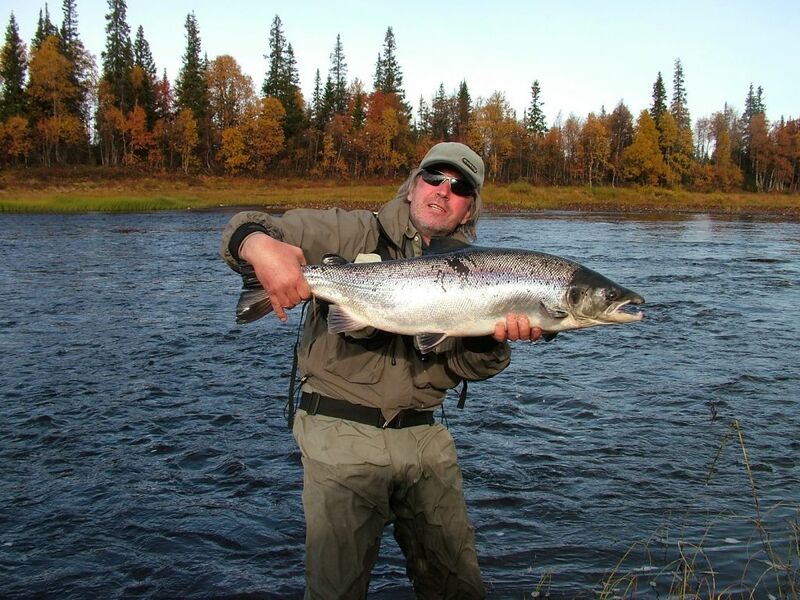 The fishing territory is 17 km from the estuary to the big waterfall where salmon hardly go any futher. 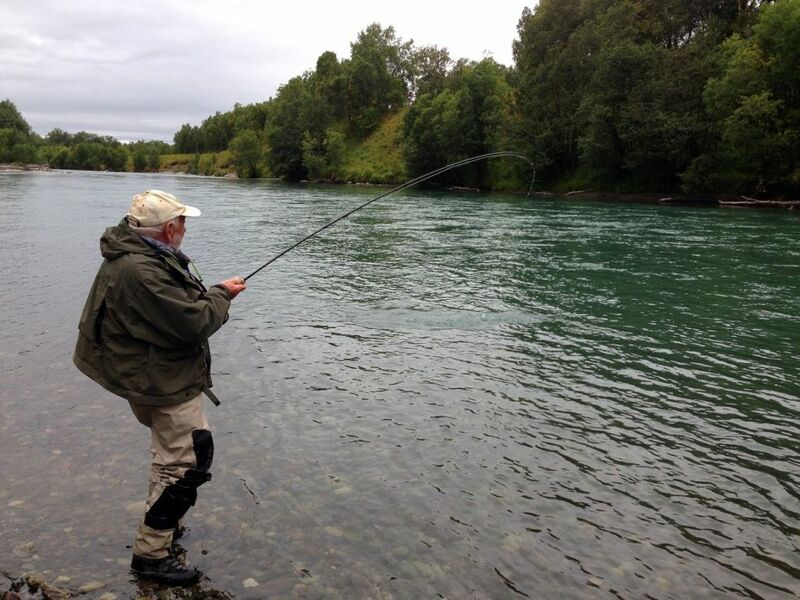 Our lodge is 2 min walk from the river offers our guests a great variety of comfort. 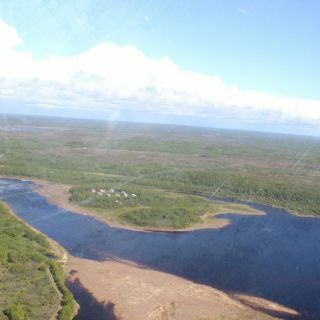 The lodge is the last house on the outskirt of the Chavanga village. 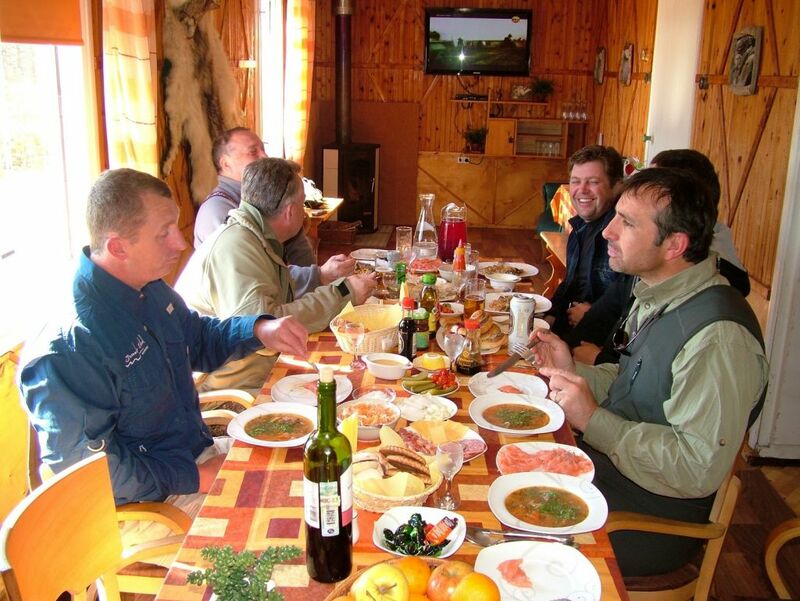 Cottage is designed for 7 guests, local chef will surprise you with daily traditional meals. 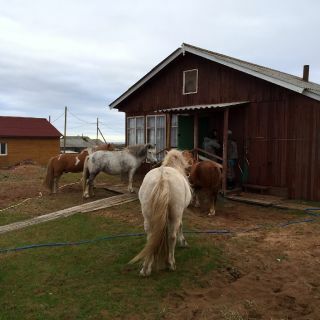 Dry View more... store, kitchen, sauna (banya), TV etc. 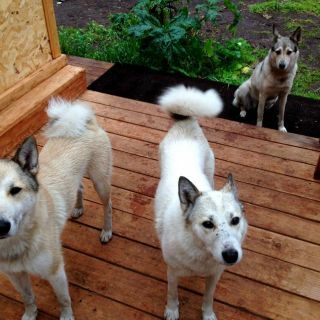 will make your stay more pleasant. 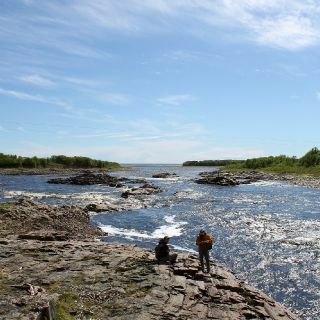 Strelna river is the 5th largest river in the Kola Peninsula. 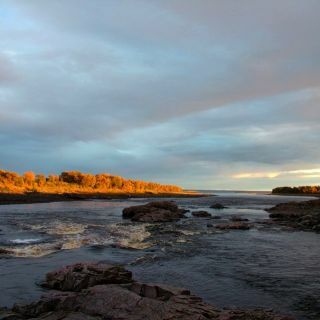 Surrounded by the mix of taiga and tundra, Strelna is a real remote wilderness. 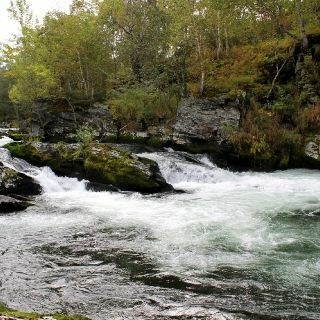 You will not find a single stranger on the banks of this river, feeling of complete wild nature will be coming to your mind once you step out of helicopter. 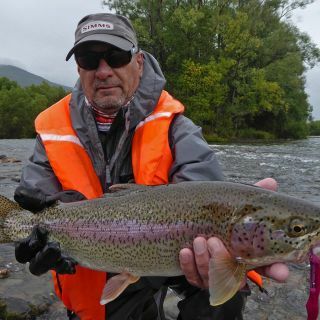 Compare to Chavanga, this river is much faster and rockier, quick rapids and thrilling waterfalls with jumping salmons make this river unforgettable. Intensive good sized Atlantic salmon run happens here twice a year, which makes it comfortable to fish here like at the beginning of season like at the end. 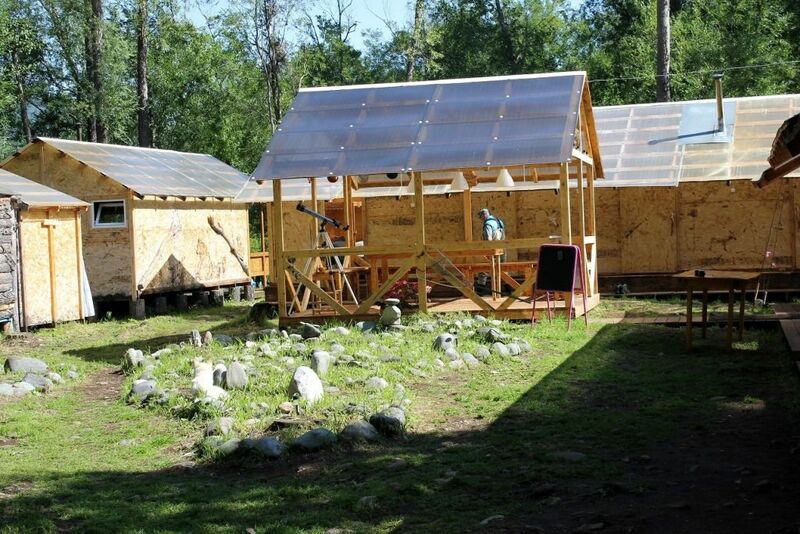 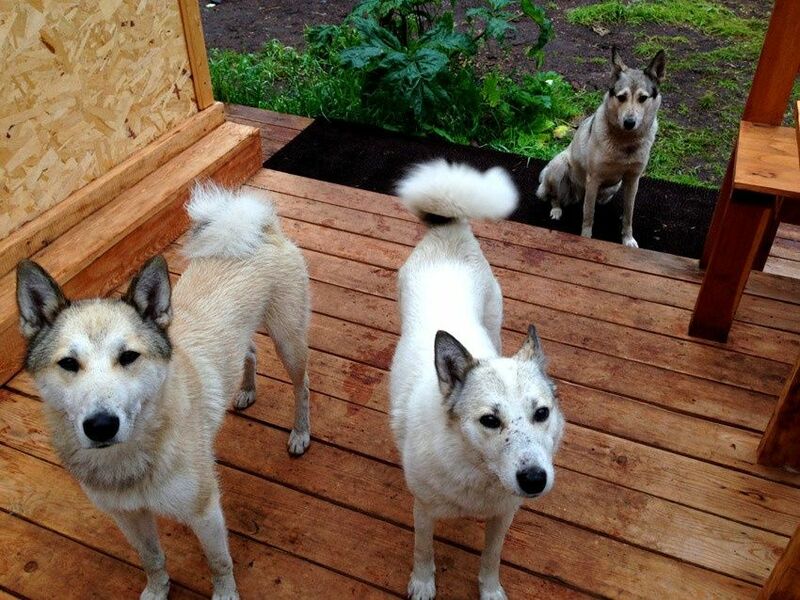 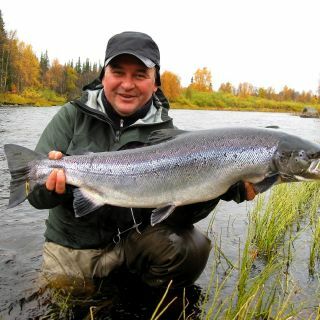 Strelna fishing camp is located in the picturesque location on the island right in the delta of the river. 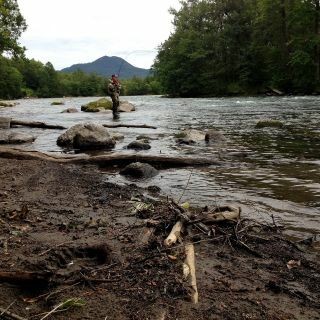 It takes only about 1 min walk to get to the river bank. 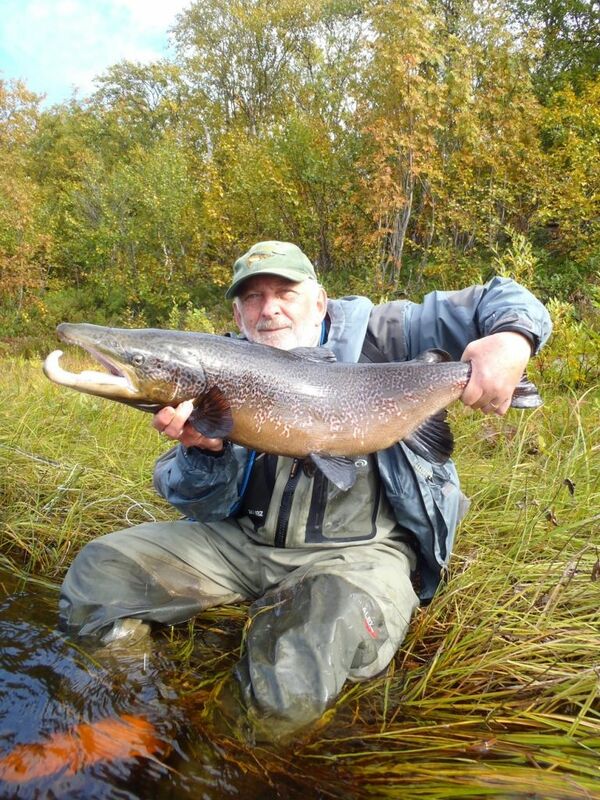 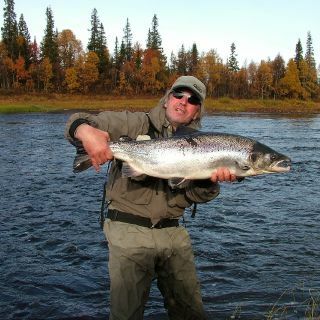 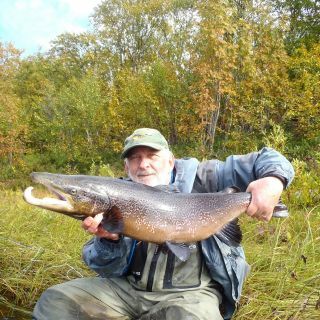 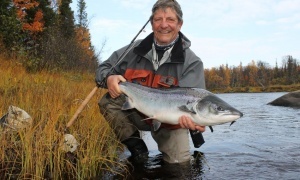 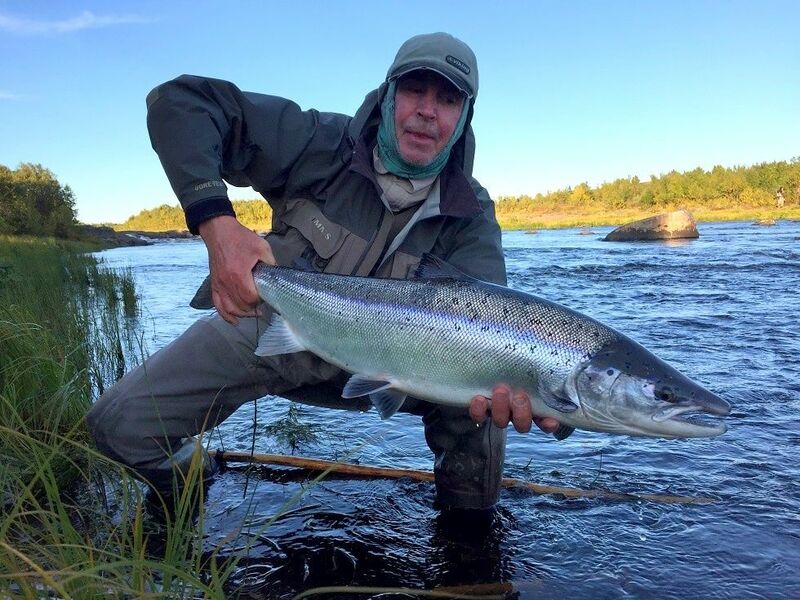 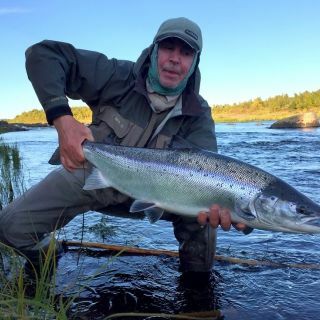 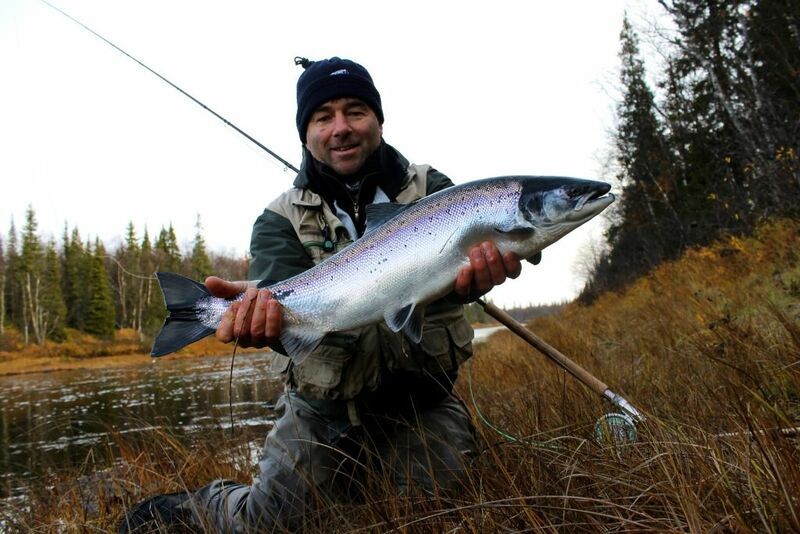 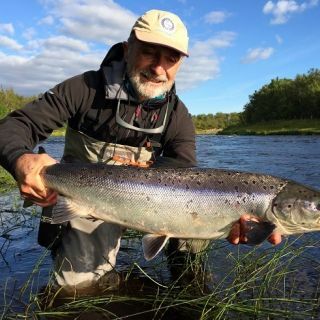 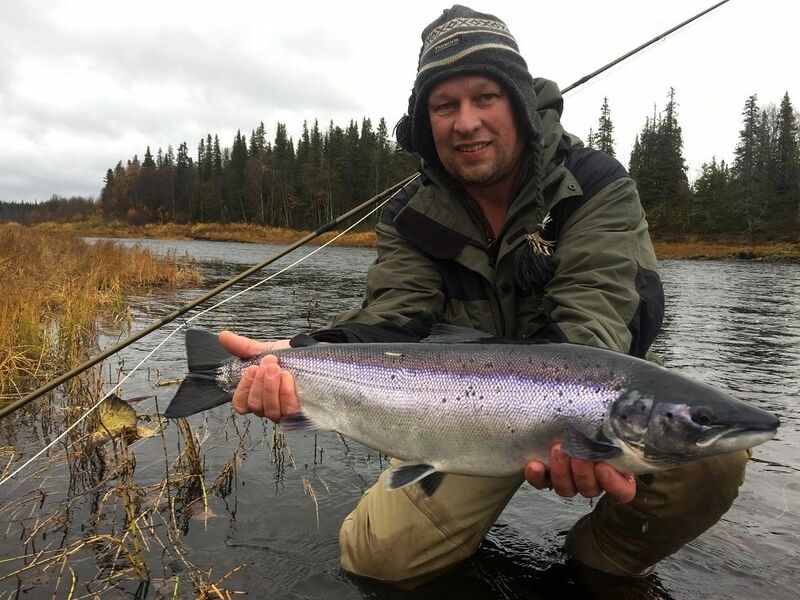 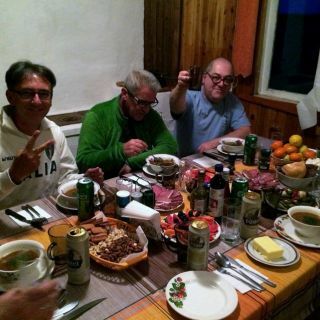 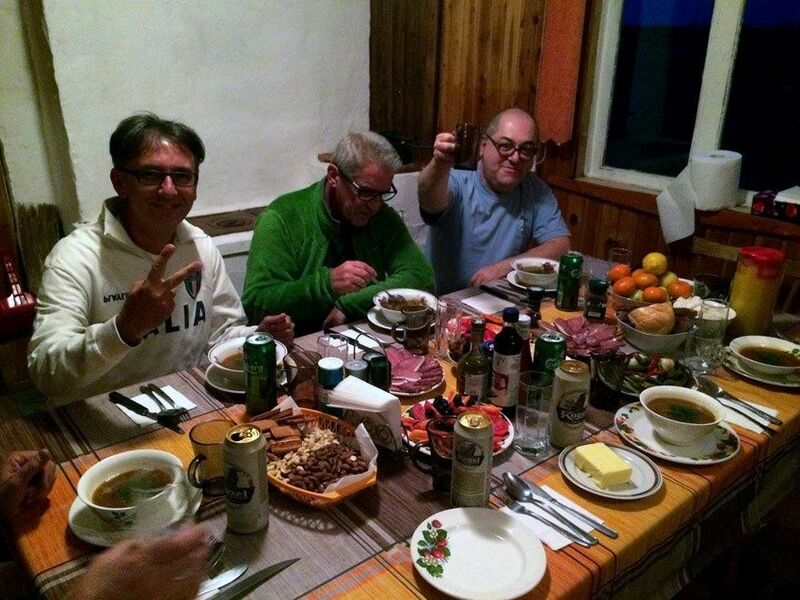 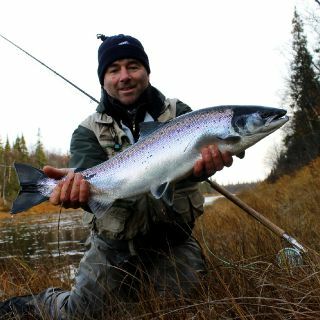 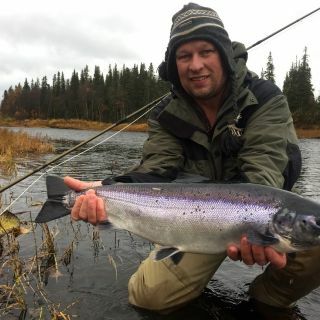 Strelna fishing lodge can off View more...er our guest all they need to have an unforgettable fishing experience. 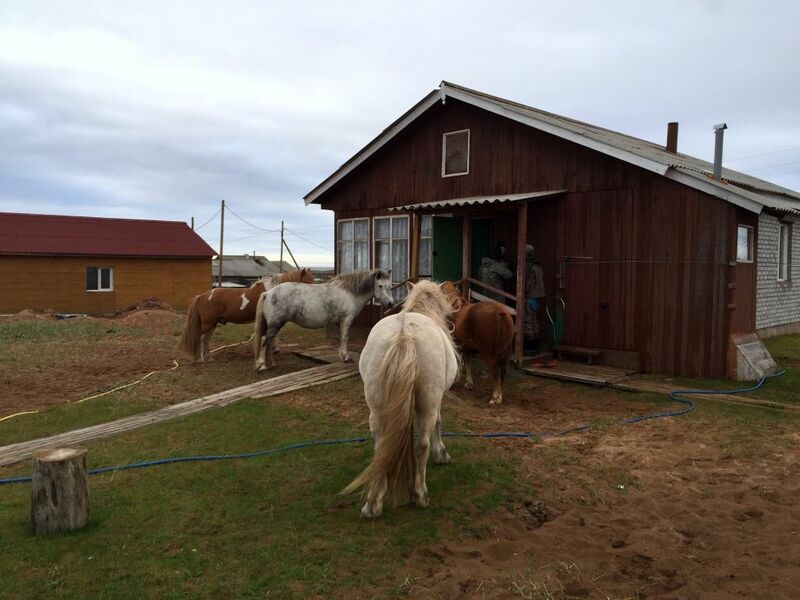 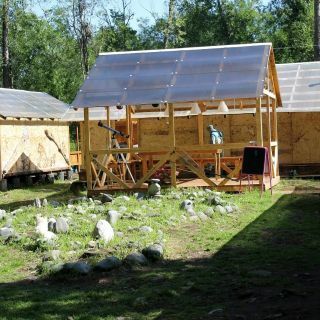 Three houses with 3 double rooms in each can fit up to 12 guests each week. 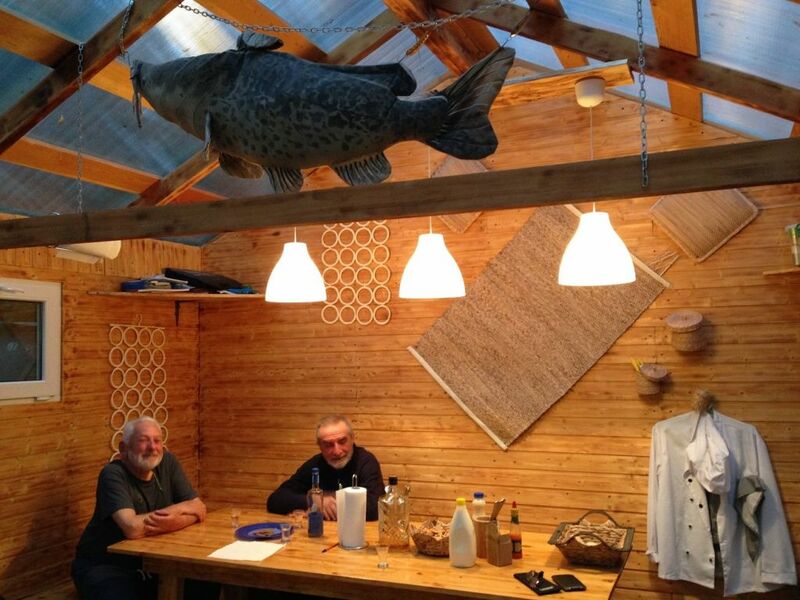 Stylish houses are fitted with drying rooms, bathrooms, electricity and hot water. 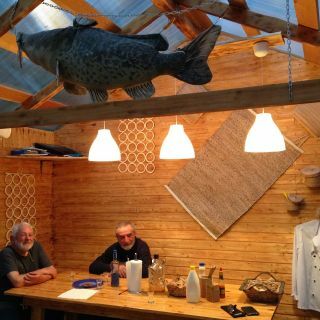 Dining room is located in separate building, where all fishermen gather for a breakfast, lunch and dinner to share their stories and emotions. 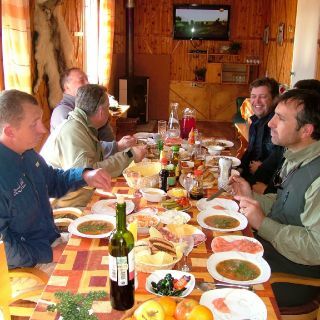 Local chef and waiting stuff will take care of our guests in the best way possible. 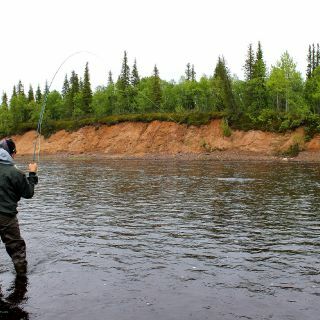 Fishing: fishing is done by day-to-day plan. 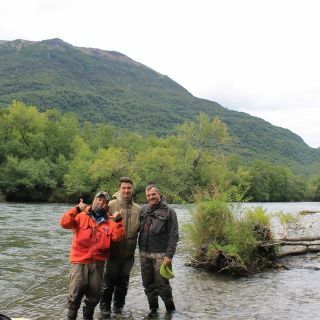 Guides will take the guest to the best places along the whole river. 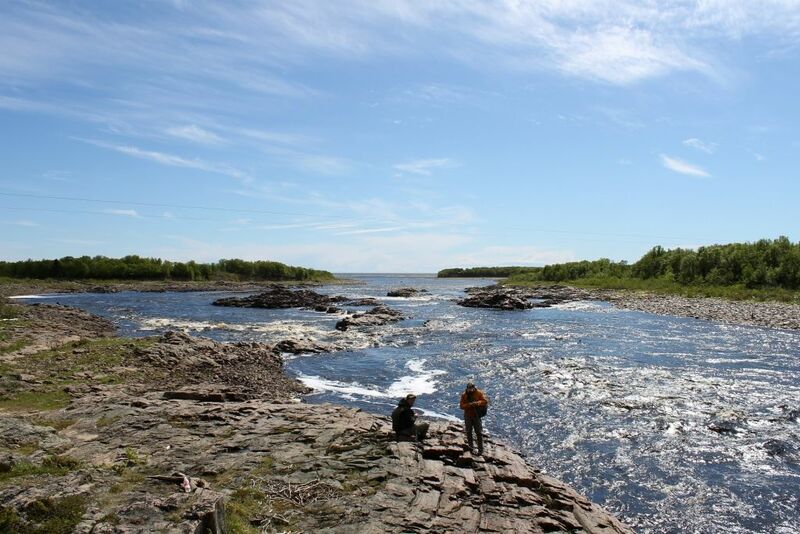 Transportation: Meeting at the Murmansk airport, mini-van transfer to Umba. 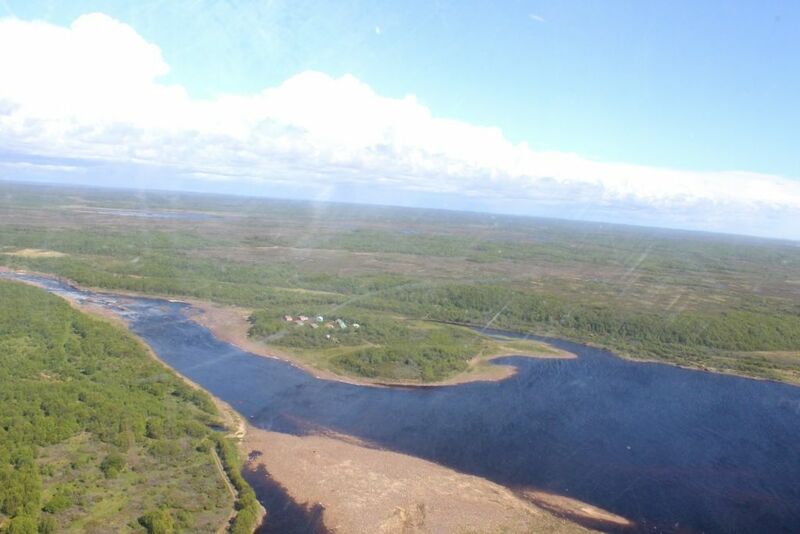 Helicopter flight Umba- Strelna and back. 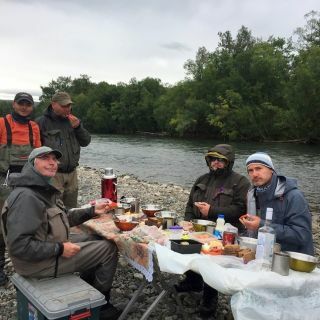 The river Icha flows from the Central Mountain Range of the peninsula to the West, across a vast National Park in the northern region of Kamchatka, and into the Sea of Ochotsk. 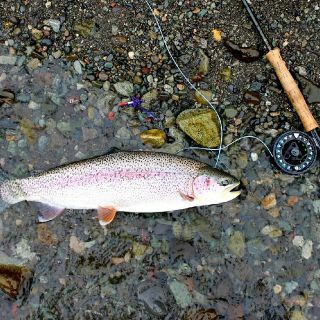 Our fishing camp located just underneath the central mountain range, on the middle stretch of the river, and the rather medium-sized river flows with a swift current into tenacious pools full of fish and meanders beautifully through the hills of the north-western Coastal Range. 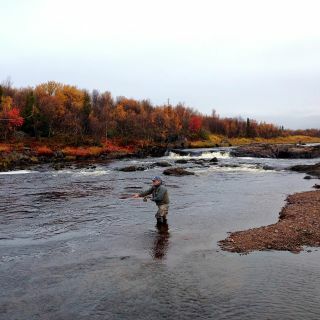 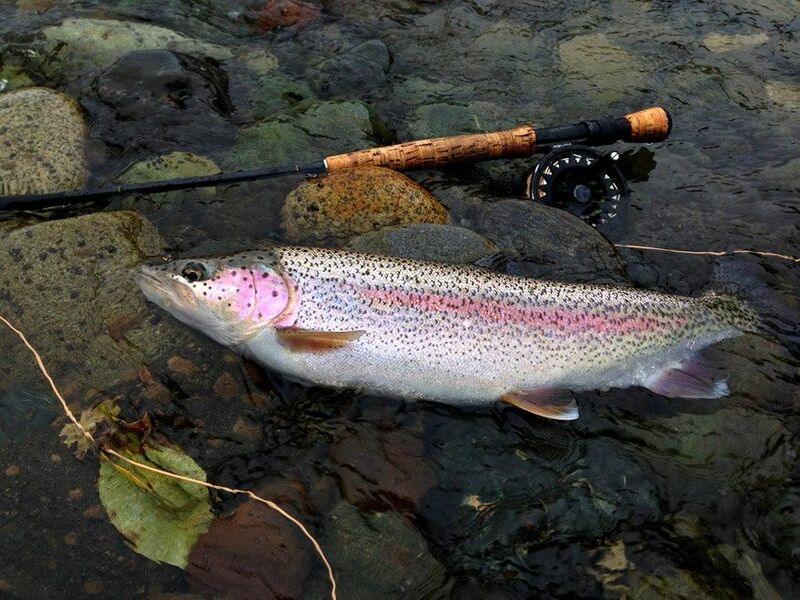 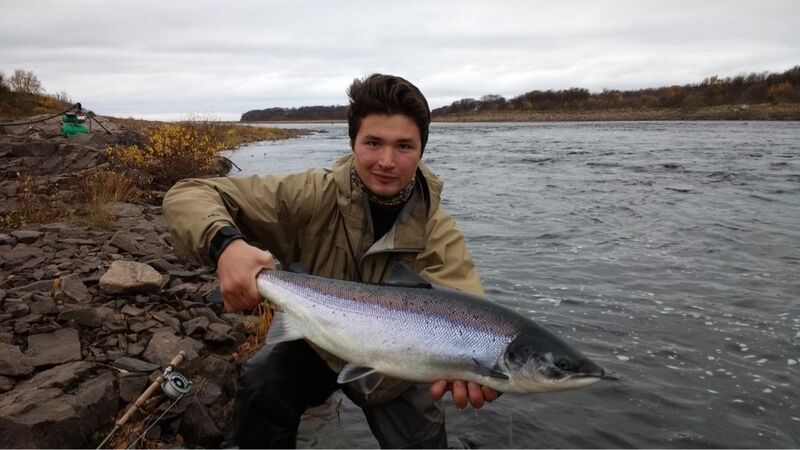 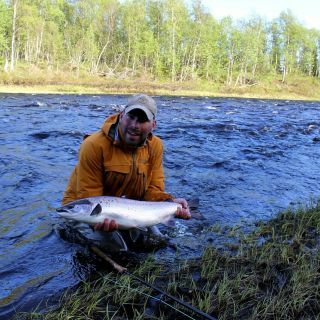 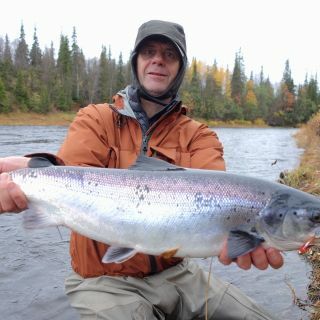 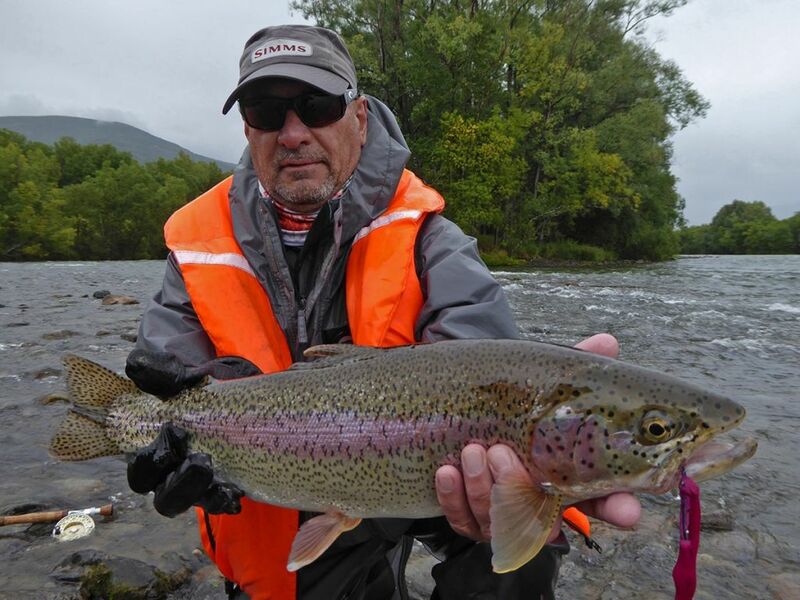 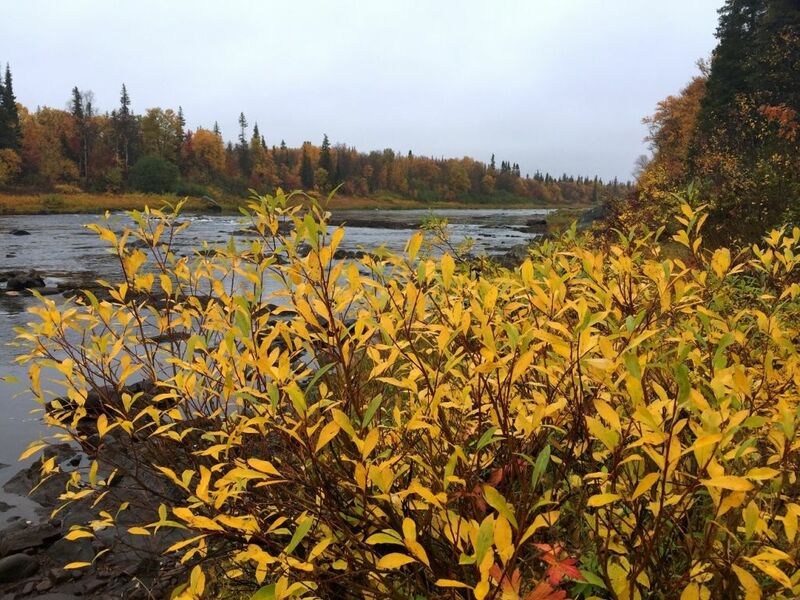 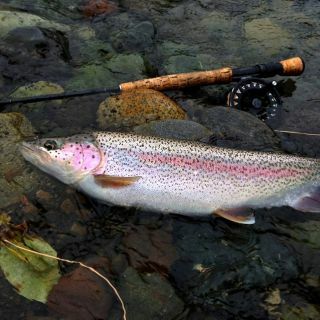 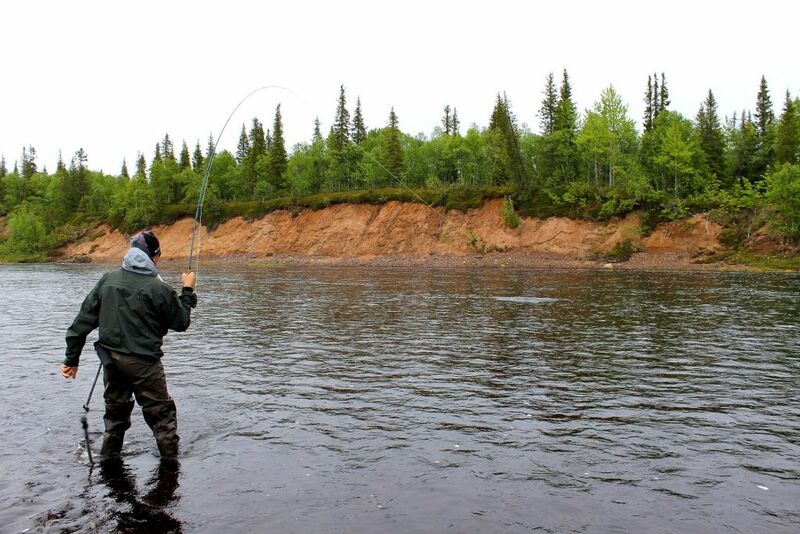 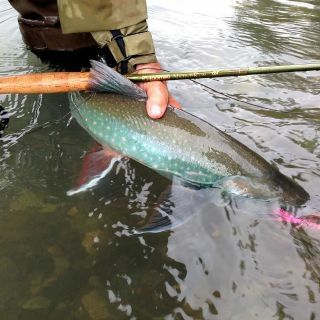 Icha river is a perfect fly-fishing river. 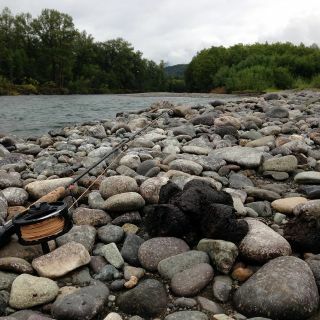 The river bed is of firm gravel and freestones, making wading easy at most parts and the fish is shining fresh and strong from the Sea. 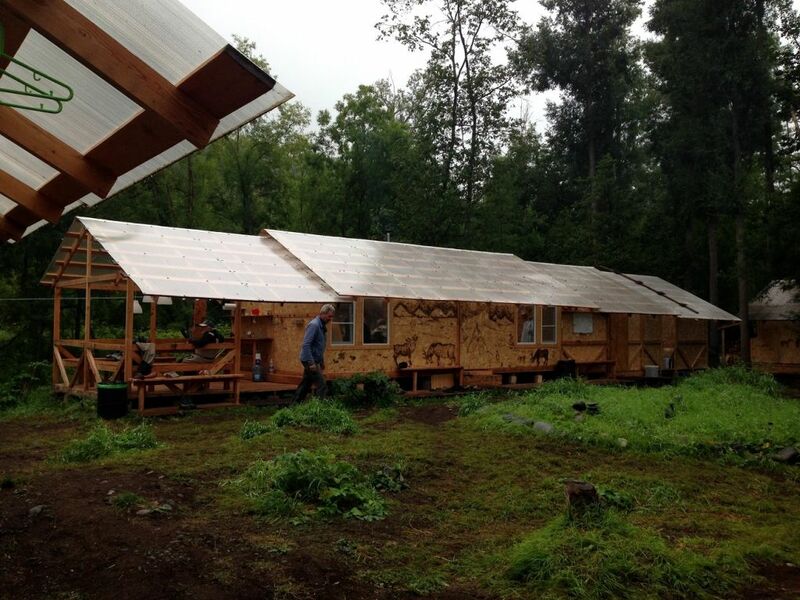 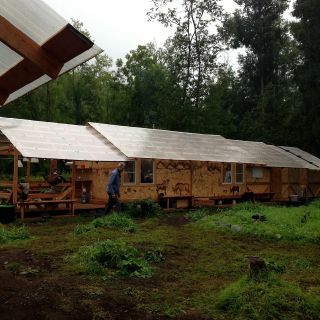 Our Icha river camp has been built just recently in 2013 and is right on the river bank. 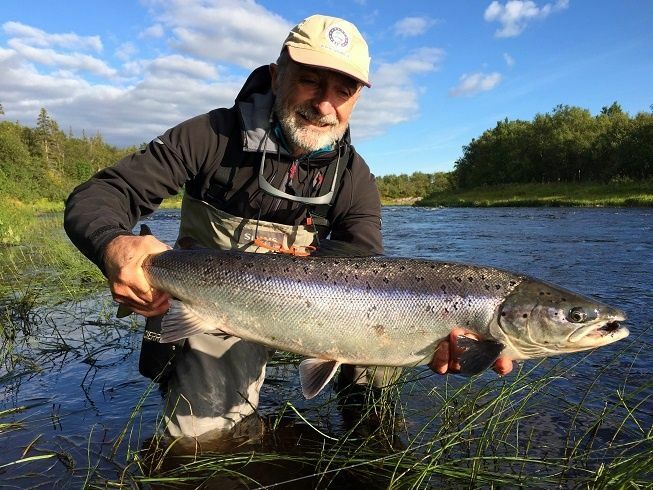 The camp is built of solid wooden cottages upon the river, with a well-equip View more...ped kitchen and a dining room, with an independent power supply, and with classic iron wood-stoves in a comfortable 2-bed or 3-bed cabin accommodation. 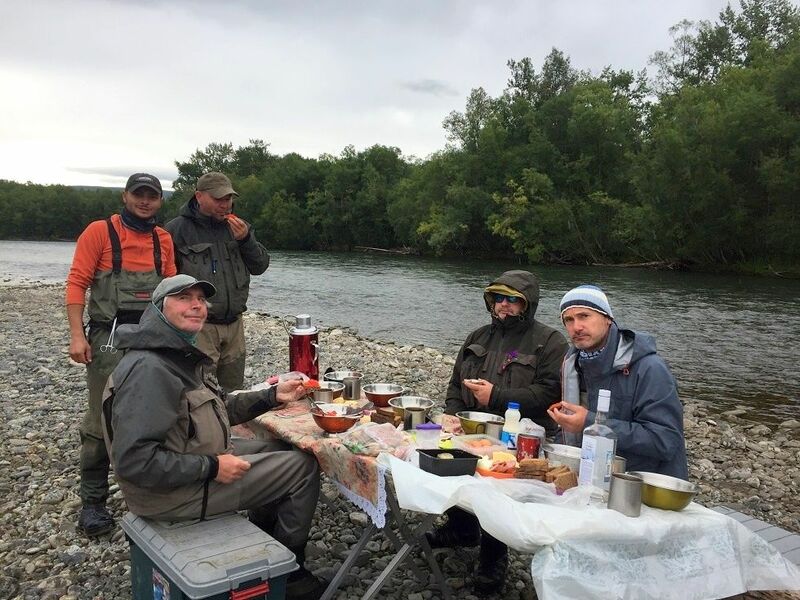 Every morning, the native Russian staff supplies the iron stoves with firewood, before you get up, and prepares the daily fresh meals of substantial Russian cuisine at our stylish dining room. 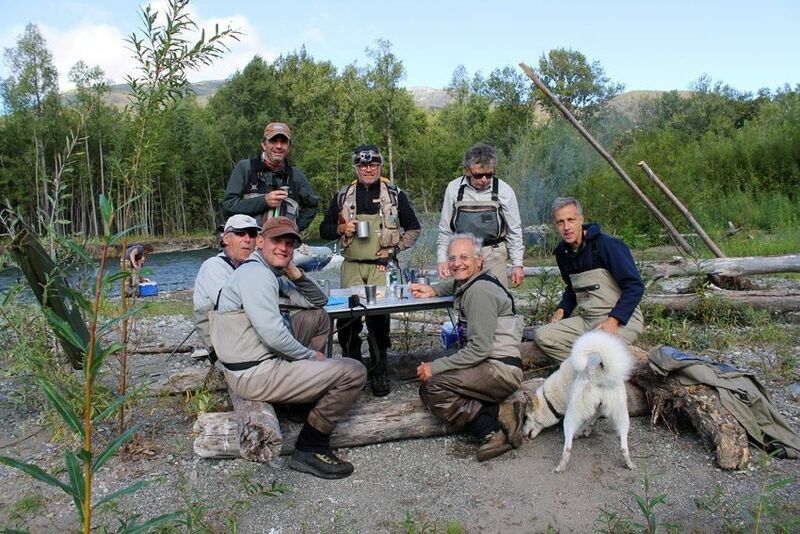 The camp is equipped with all the gears required for day-to-day fishing. 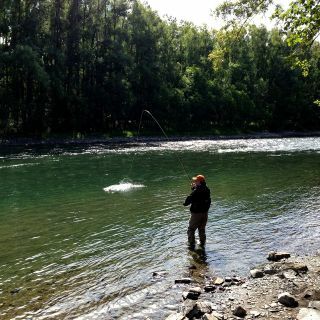 Season: from the beginning of July till mid. 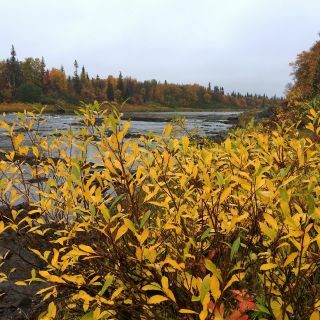 of October. 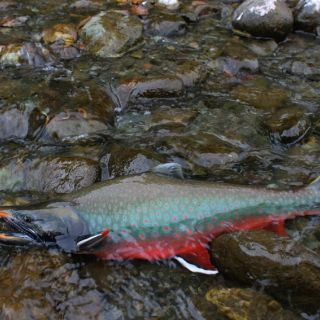 Prime period starts from end of August till mid. 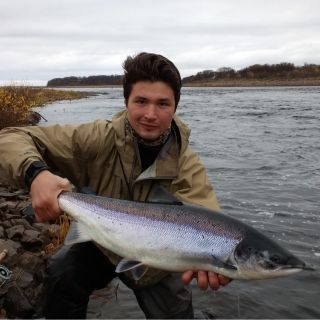 of September. 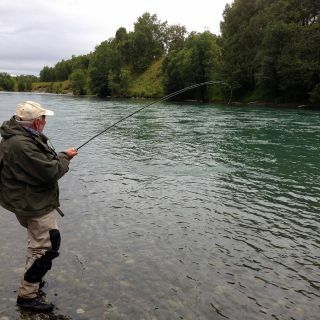 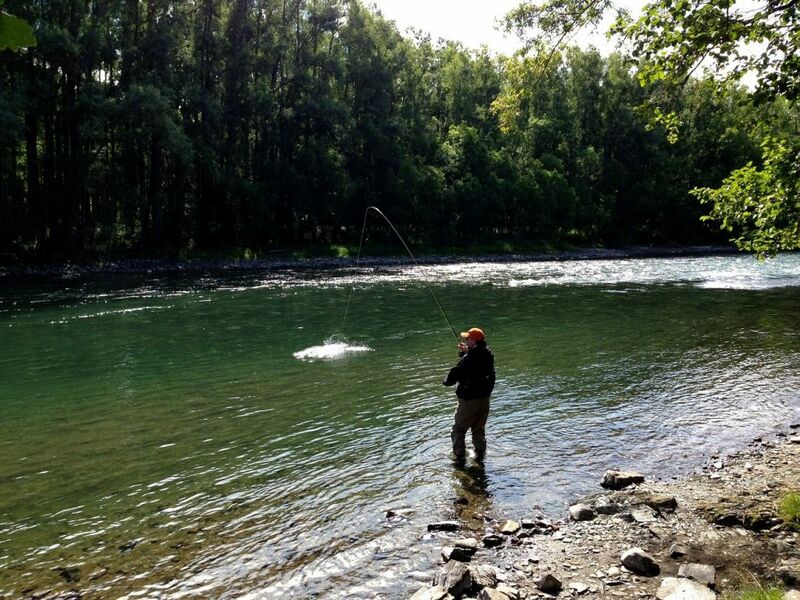 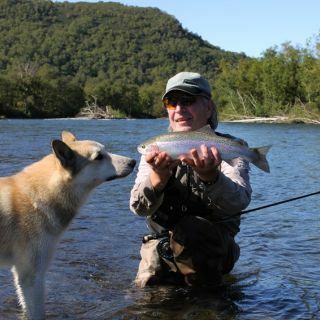 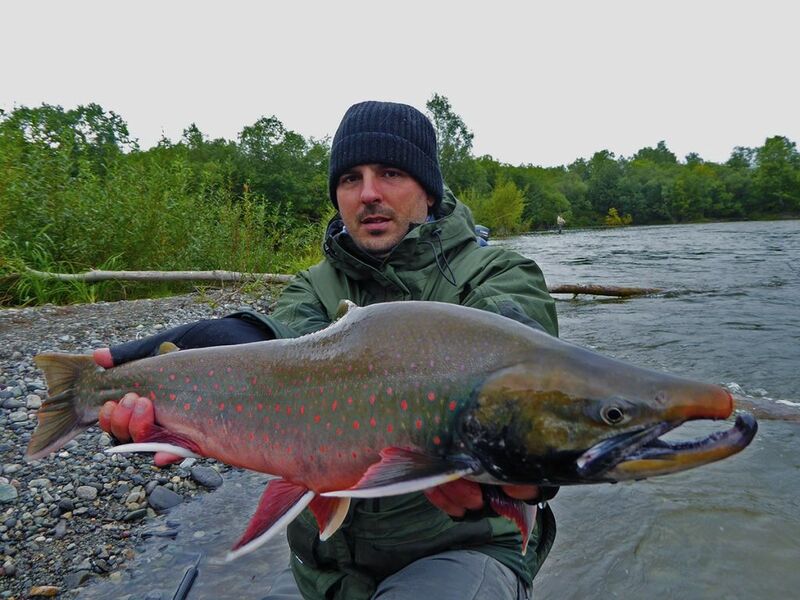 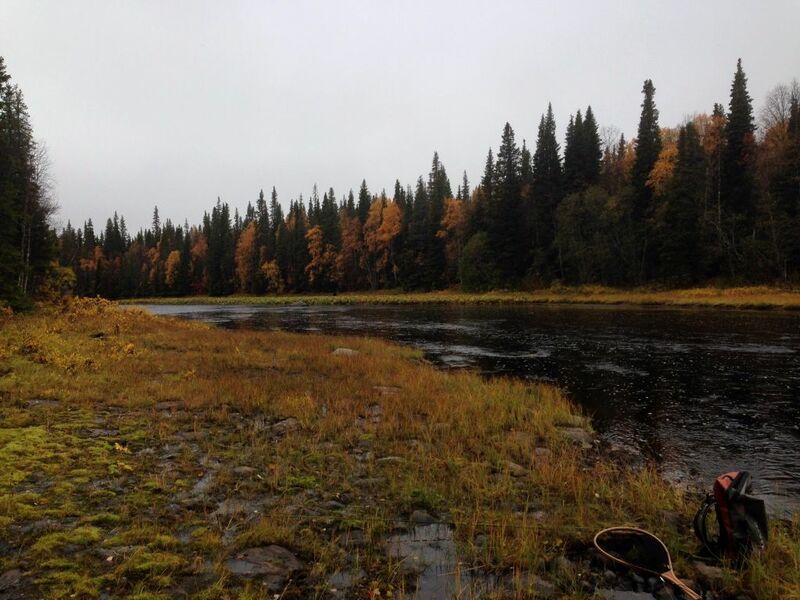 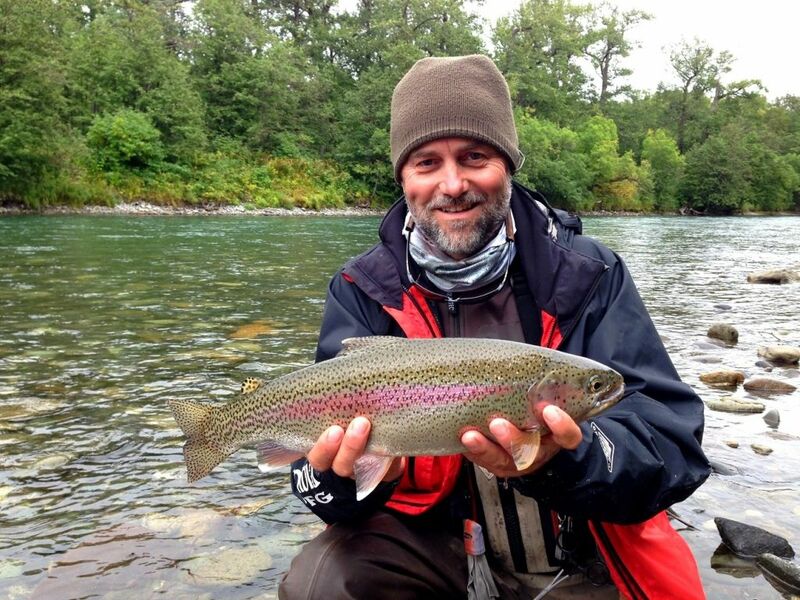 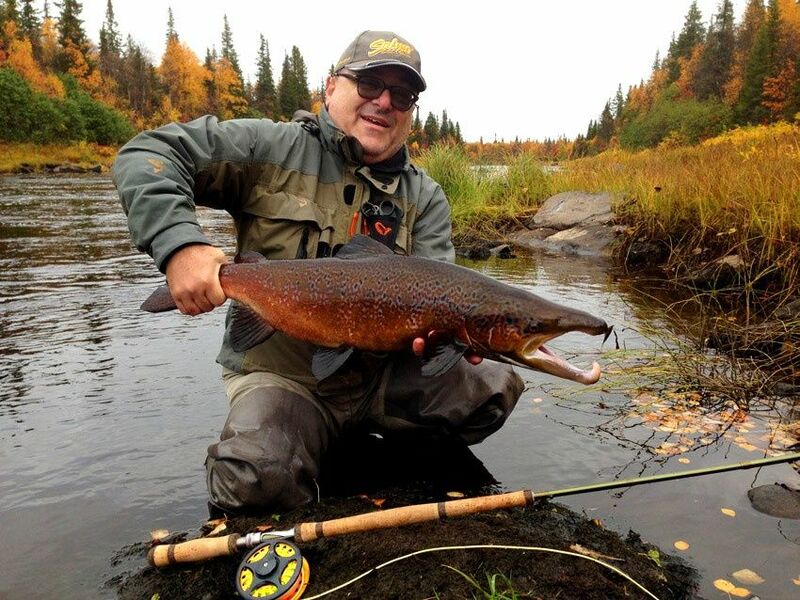 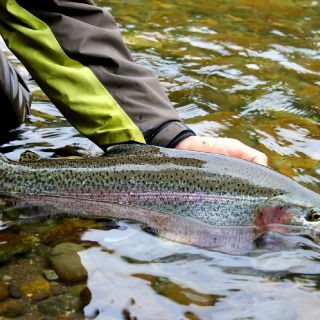 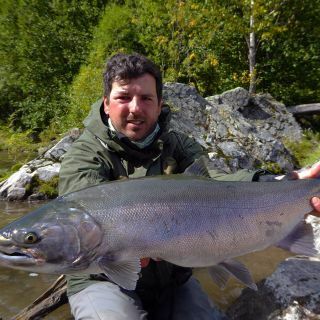 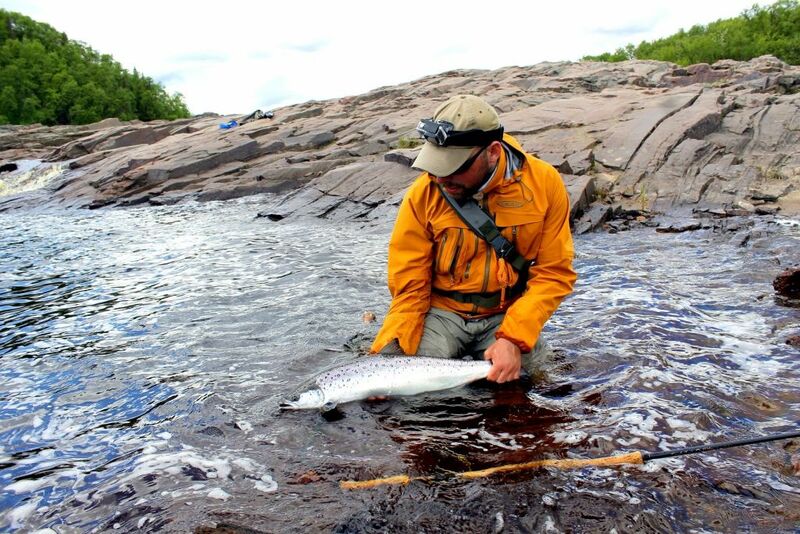 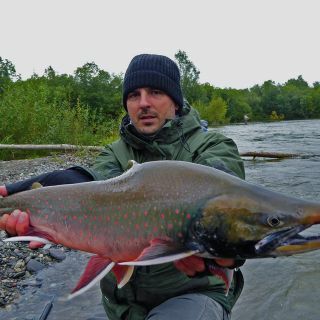 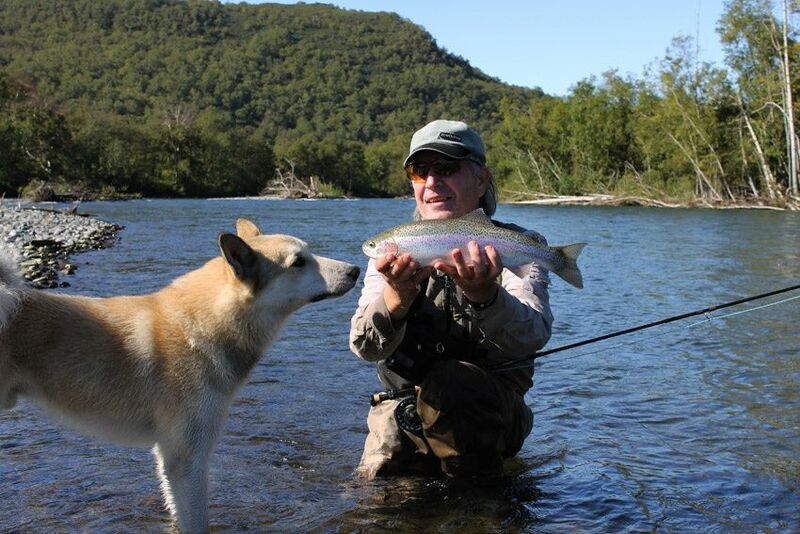 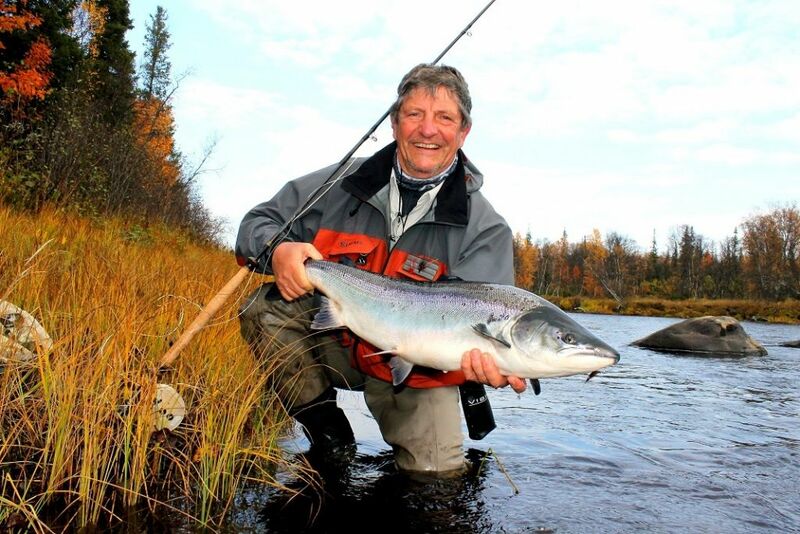 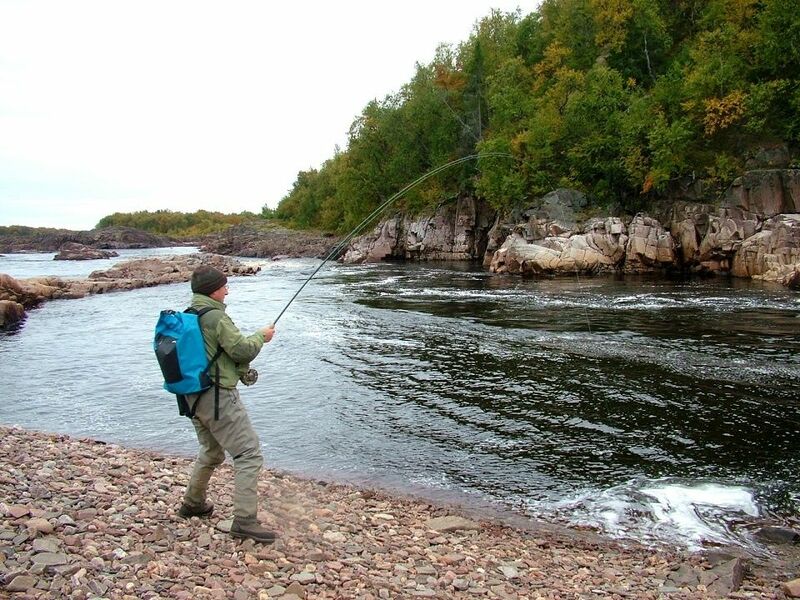 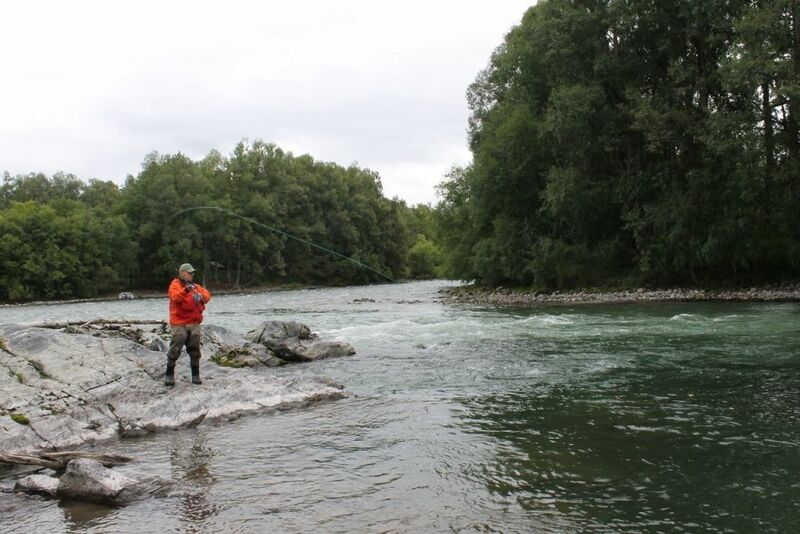 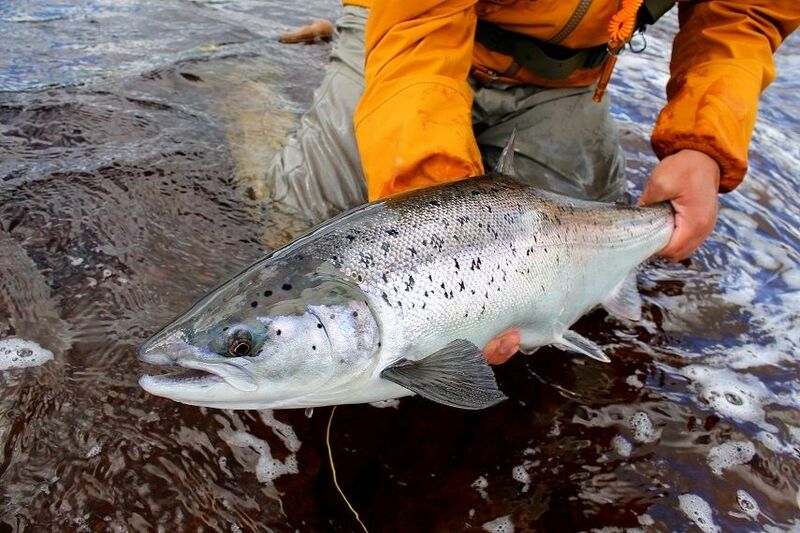 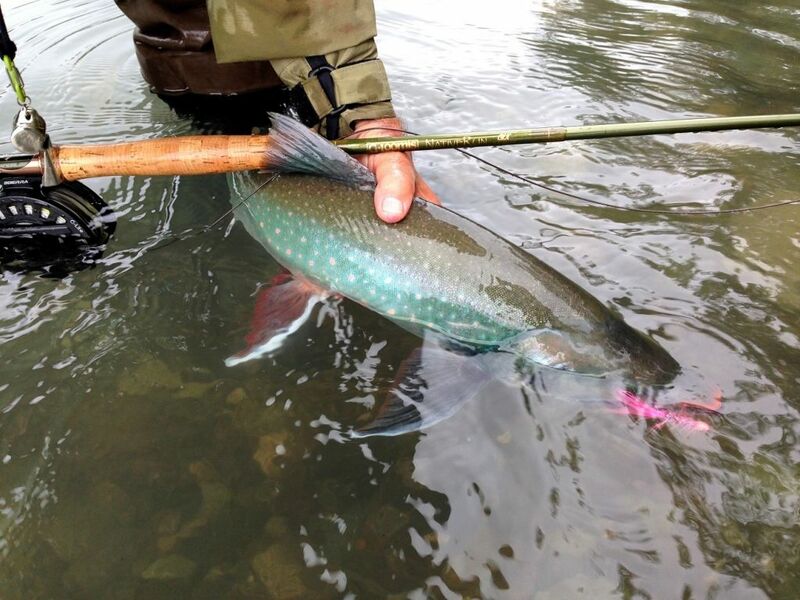 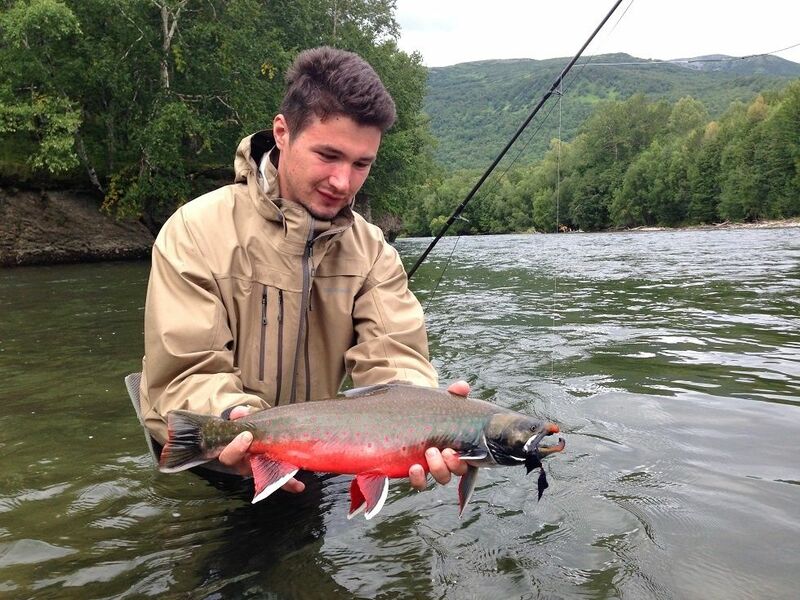 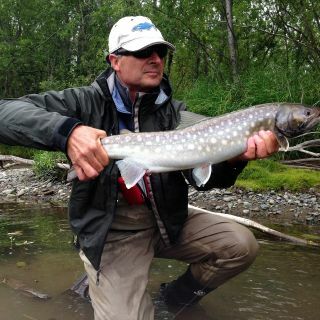 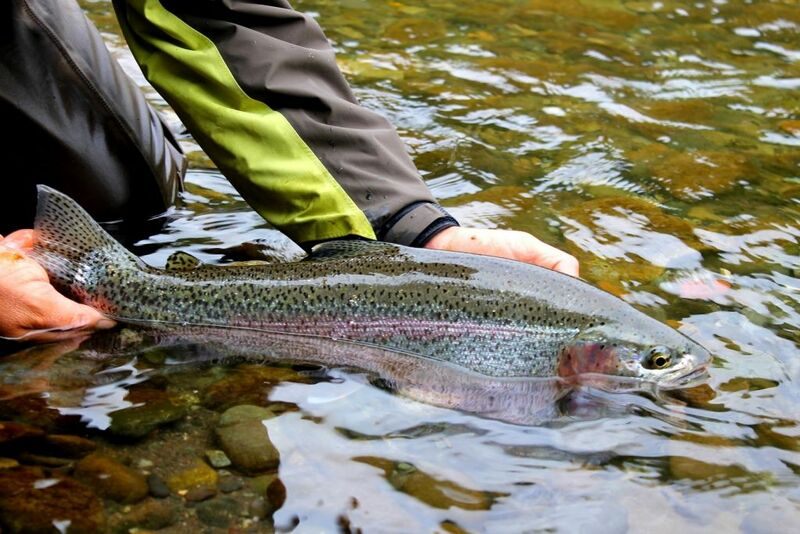 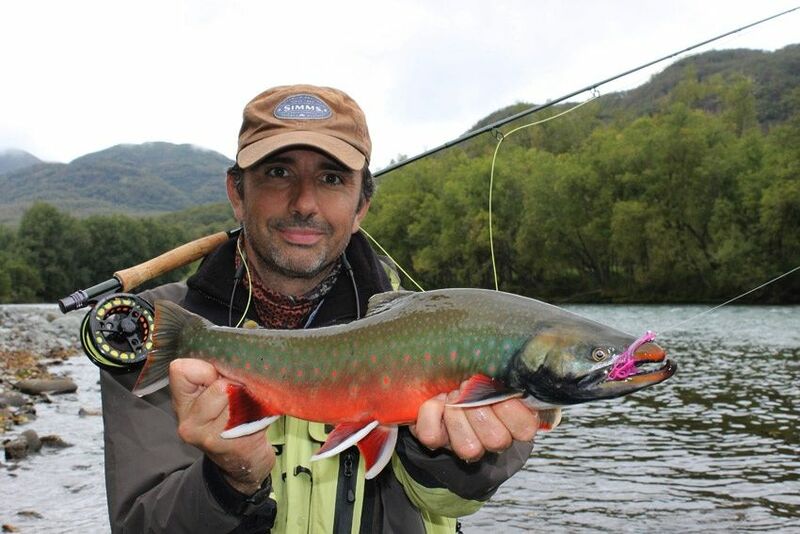 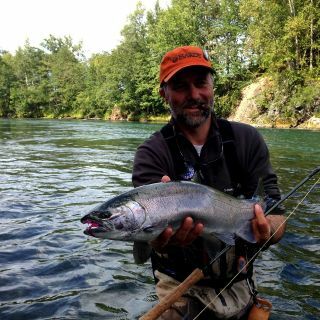 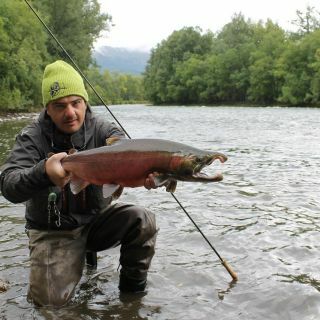 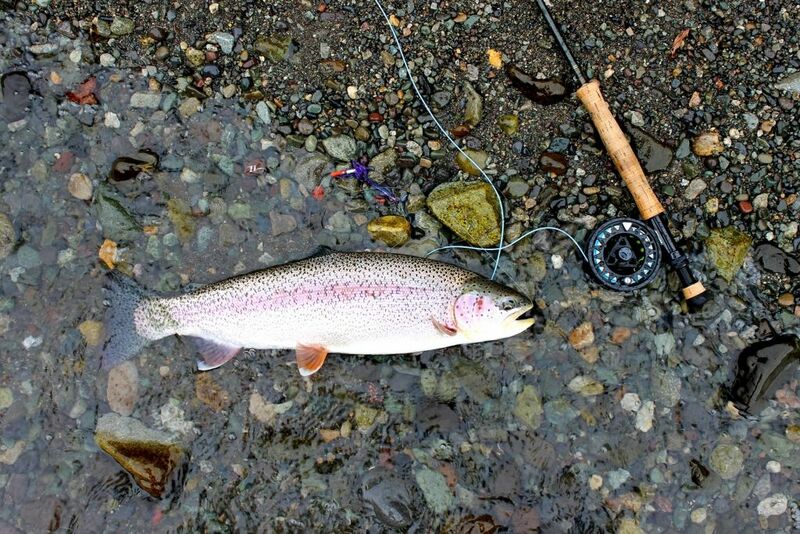 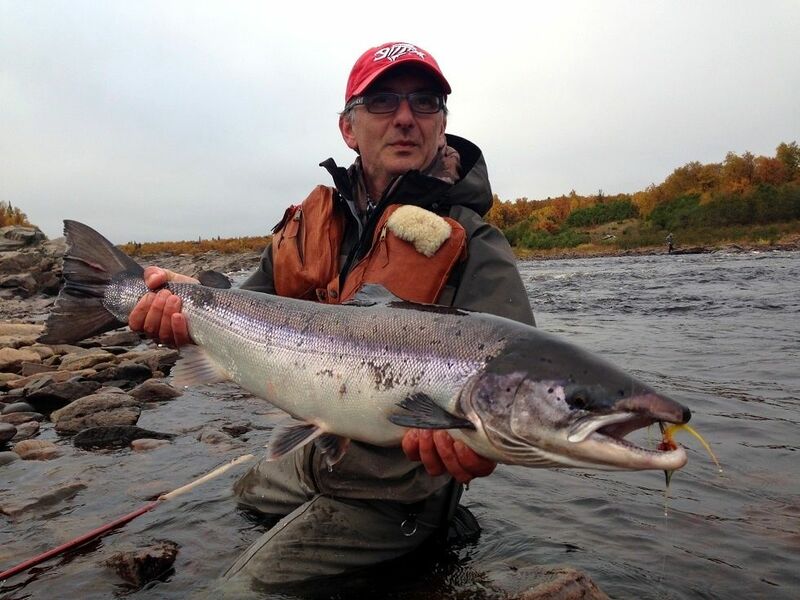 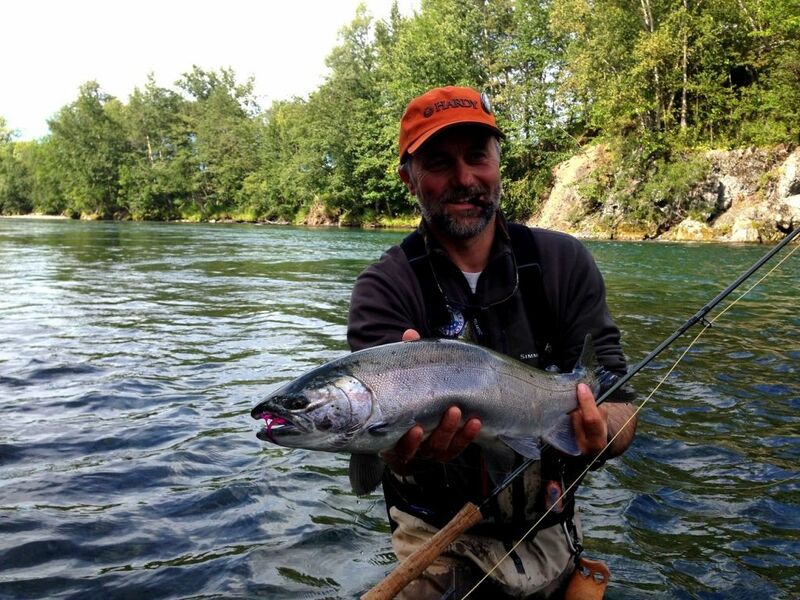 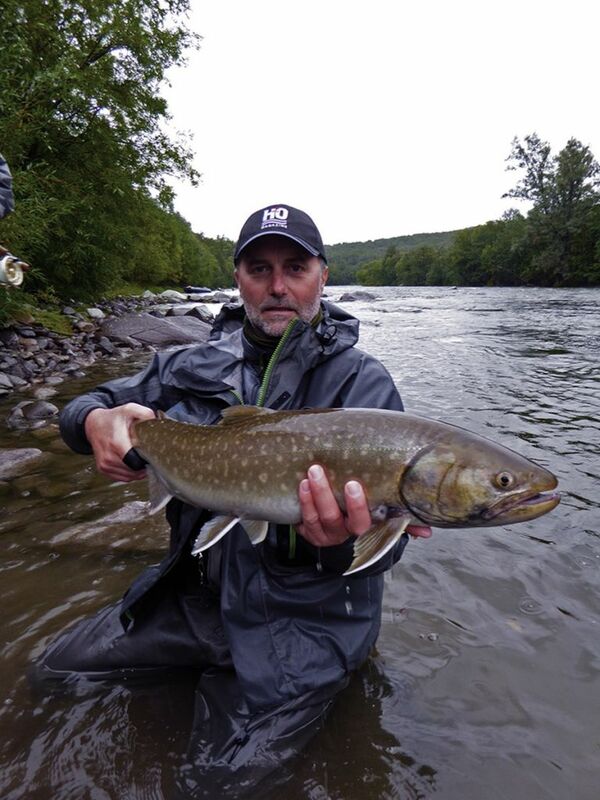 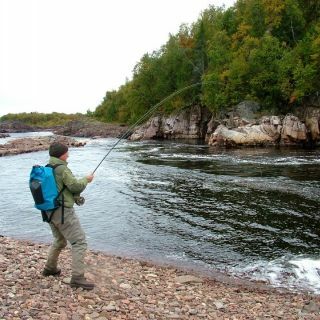 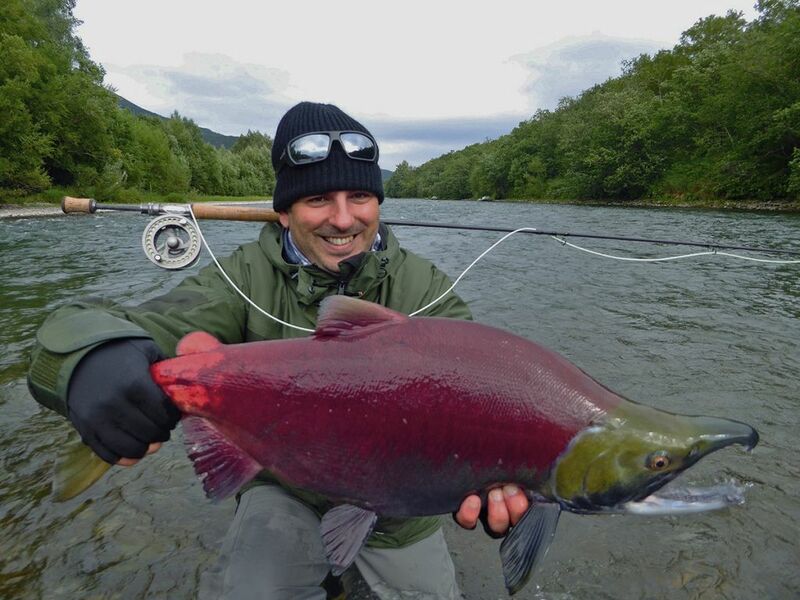 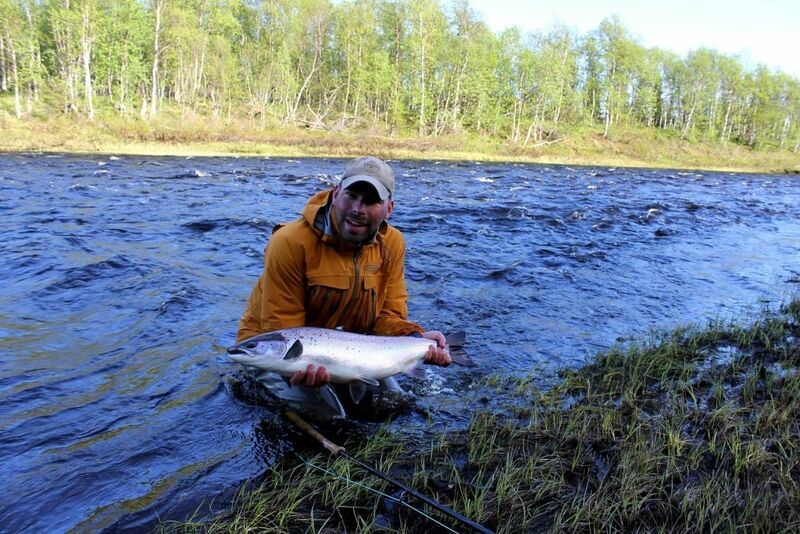 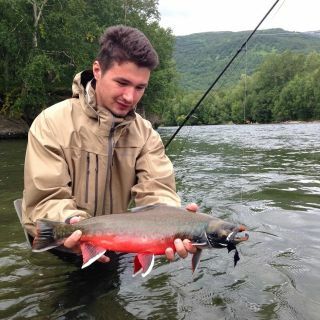 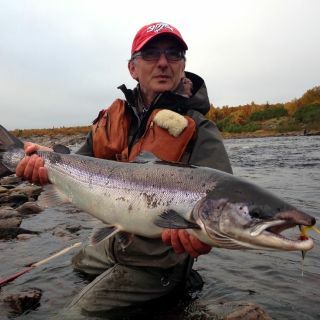 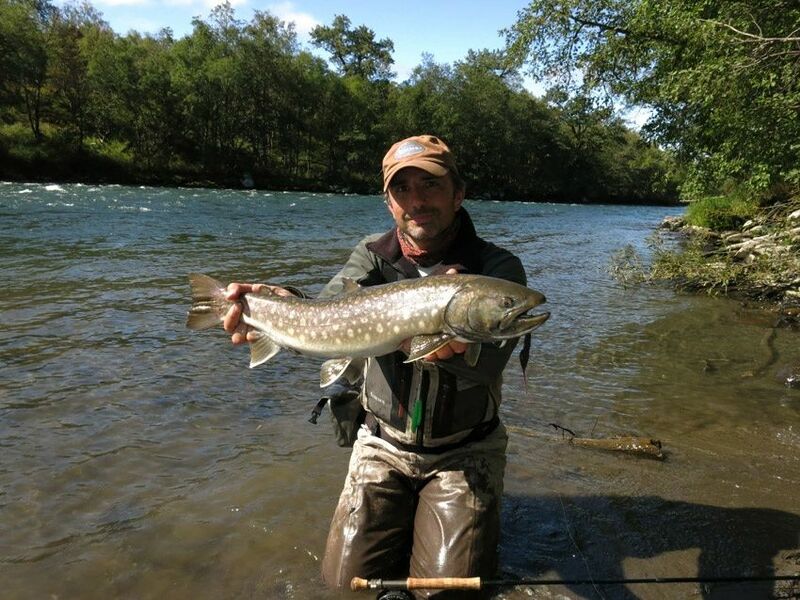 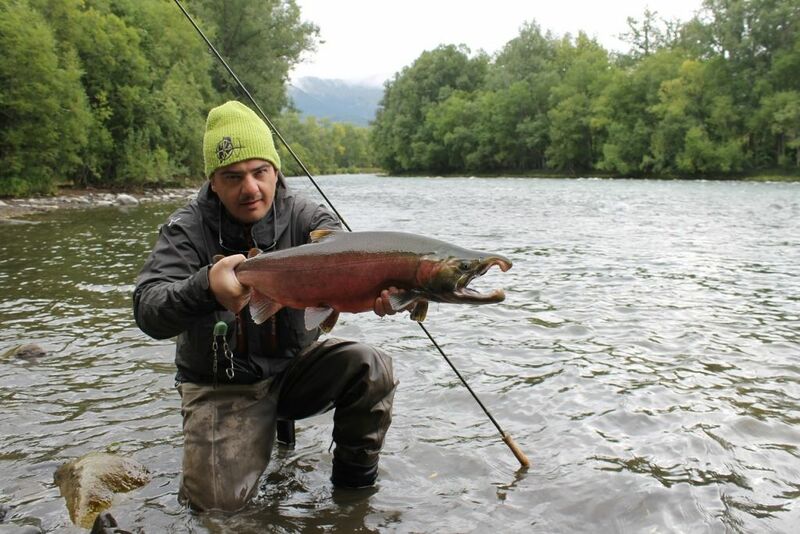 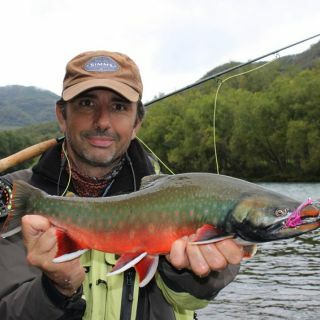 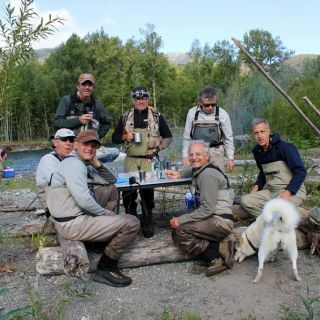 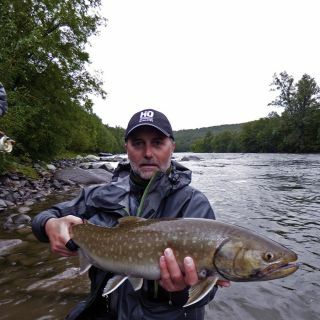 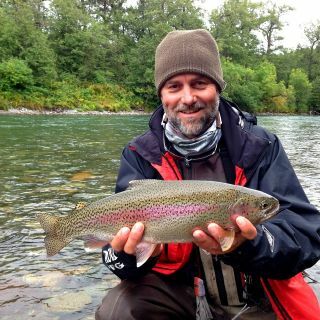 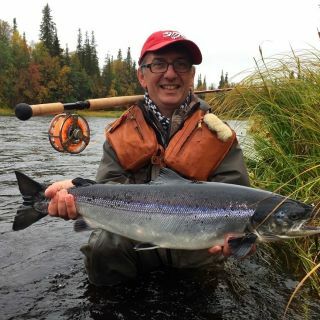 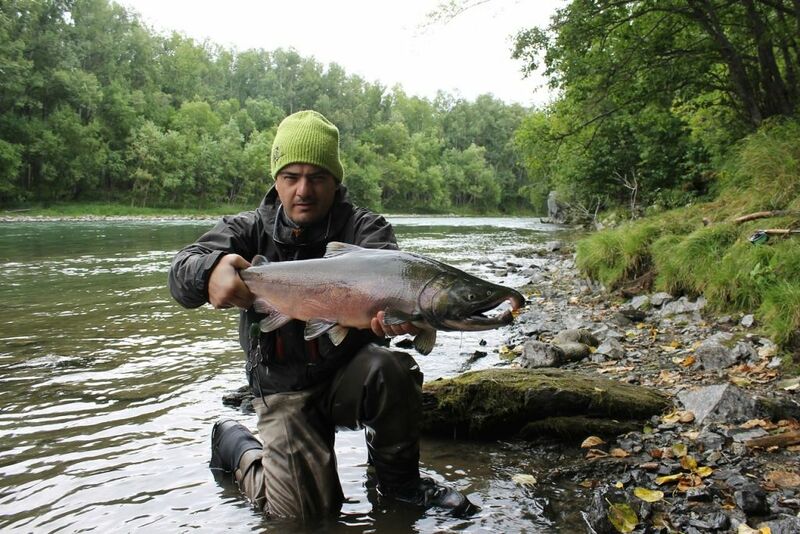 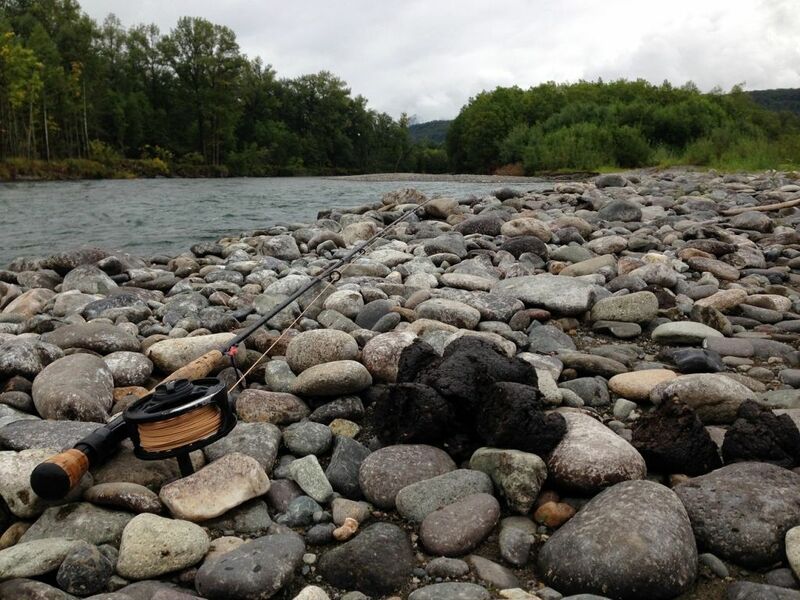 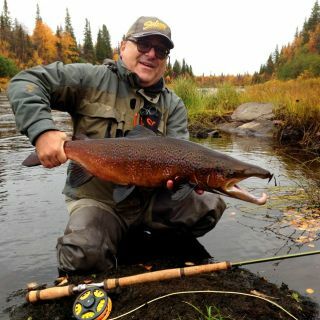 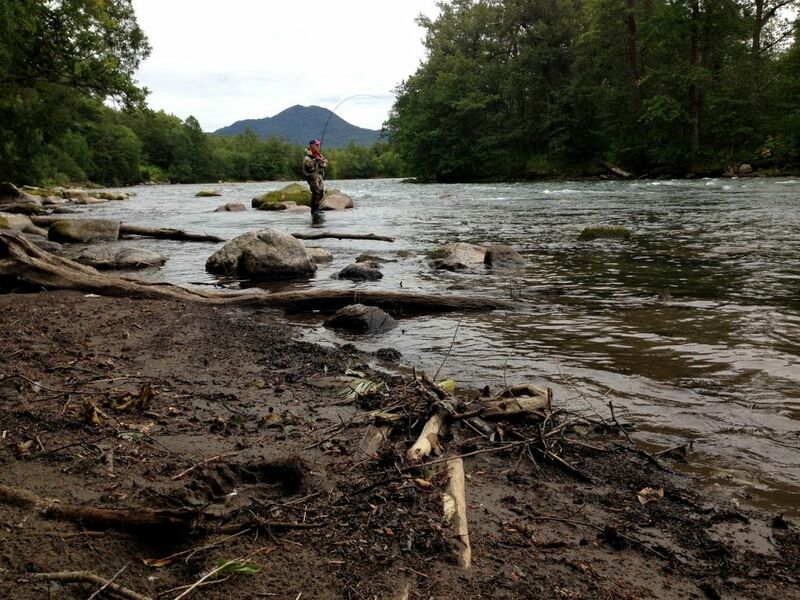 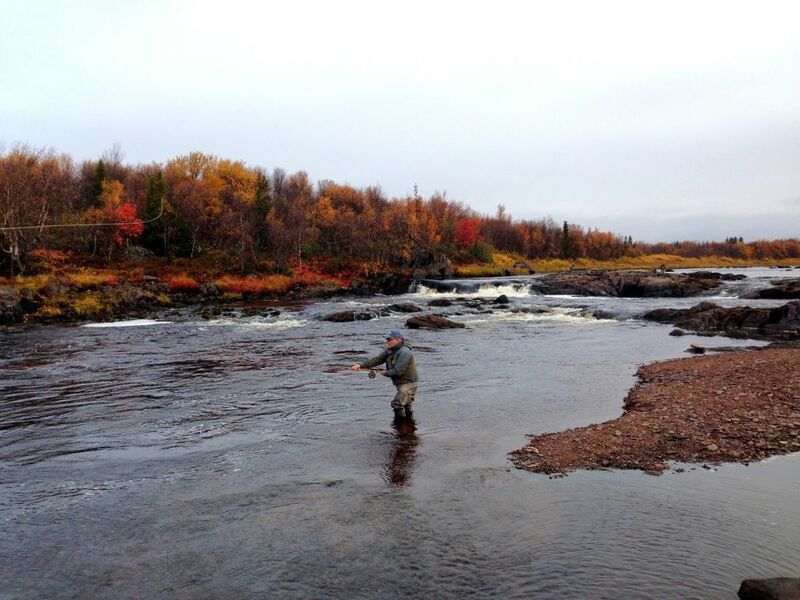 Fishing: fly fishing and spin fishing, exclusively private territory of 40km of the river. 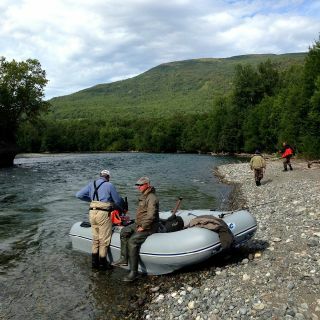 Jet motor boats are used every day to transport clients from pool to pool. 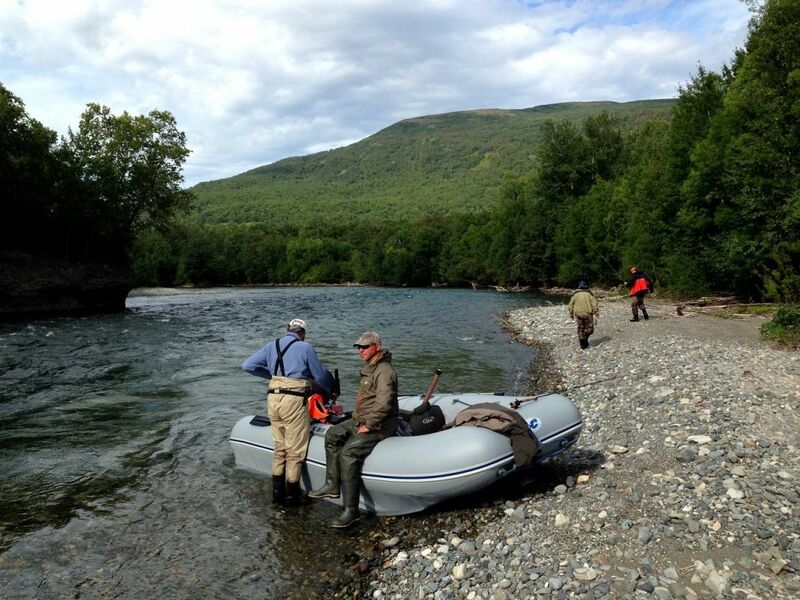 Transportation: greeting at the Petropavlovsk-Kamchatski airport, mini-van, jeep and motorboat transfer to the camp.